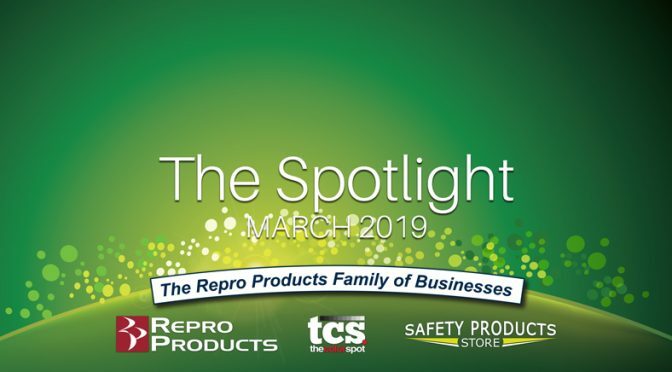 A brief overview of the Repro Products March 2019 Newsletter is listed below. 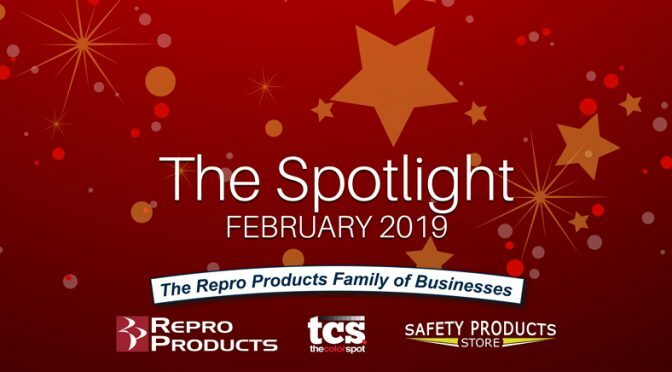 A brief overview of the Repro Products February 2019 Newsletter is listed below. Check out this Xerox blog below about the Bold Benefits of Color in Printing. The “color as too costly” mindset is as antiquated as the very first print technology. When it comes to performance, today’s color printing with printers like the Xerox® VersaLink® C405 built on ConnectKey® Technology and are comparable to mono printing in speed, advanced functionality and user friendliness, not to mention in networking and manageability. 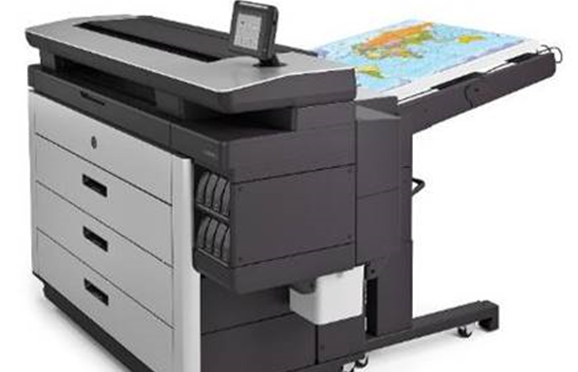 Xerox® ConnectKey® Technology makes using color and saving money compatible with simple controls that can restrict usage and regulate color printing. If you’ve ever painted a room one color only to paint it over in another, you know that too much of a good thing always so good. Take the time to learn about the emotional messaging around color to make sure your brand colors and collateral reflect you or your business’s personality and place in the world. For example, we all know red attracts attention. Did you also know it actually increases heart rate? You may love the color but if your yoga studio flyer features it you may be doing downward dog all by yourself. Understanding how color works on your audience is essential to controlling your message and content. Successful content marketing depends on knowing how colors work best together. The whole reason you’re using color is to leave an impression with your audience and, in turn, to sell (studies say that color can actually help you sell 80 percent more*). Make sure all your creative work pays off by using a high-quality color printer to match the high-quality output you need. Contact us today on how color can help you and your business today. A brief overview of the Repro Products December 2018 Newsletter is listed below. 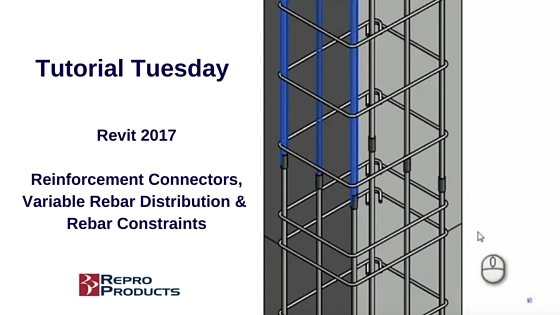 Check out our latest tutorial video by our lead AEC Application Engineer at Repro Products, Dzan Ta. 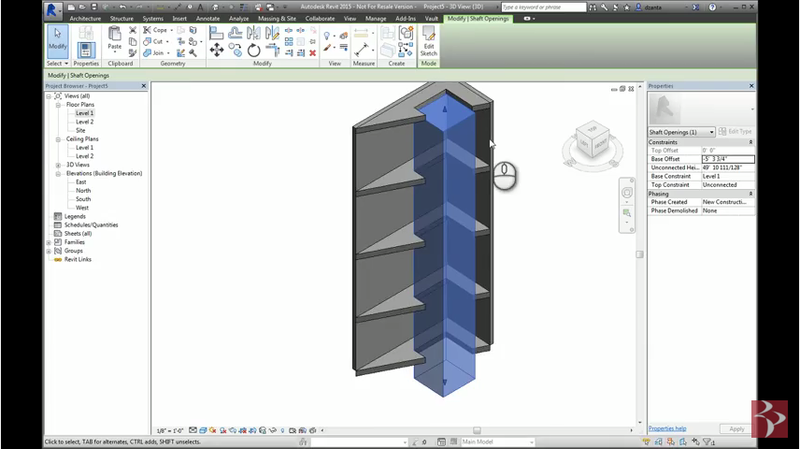 In this tutorial he will discuss BIM 360 Design and the Autodesk Desktop Connector. This is an introduction to working with a Revit model to upload to BIM 360 Design along with how to use the Autodesk desktop connector. If you are interested in more Autodesk Training, please click here. 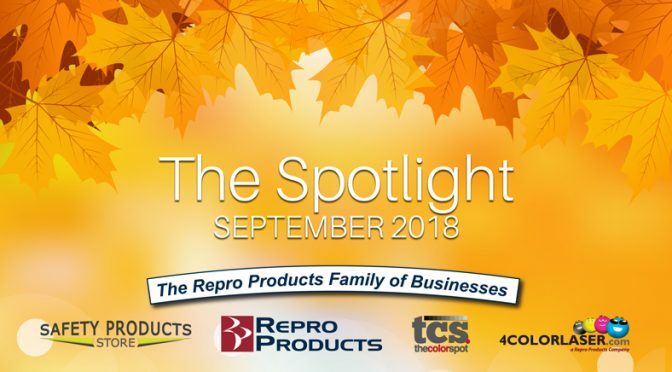 The Repro Products Family of Businesses is ready for Fall! 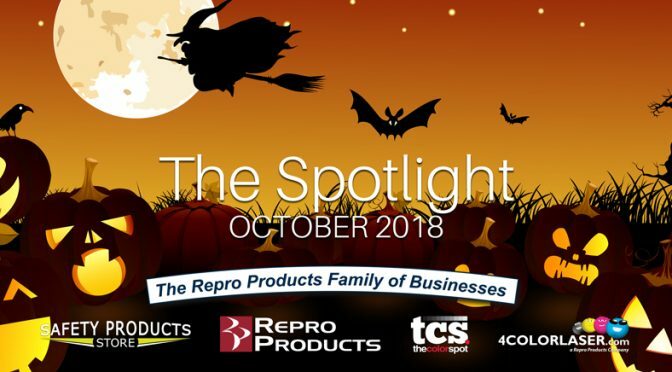 A brief overview of the Repro Products October 2018 Newsletter is listed below. The pressure to complete tasks quickly in the workplace by a certain deadline has only grown exponentially. Tight deadlines are the new normal. Thankfully the new Xerox workplace assistant is here to swoop in and save the day. These workplace assistants will cut wasteful steps and transform the way work gets done. The best part is that the machines are designed to be instantly familiar and to seamlessly integrate with your existing setup. 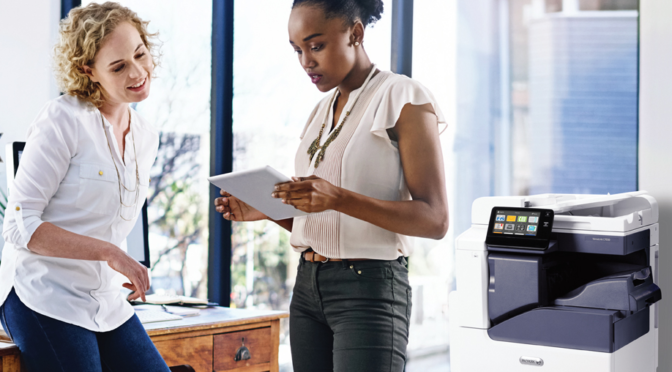 Check out the key benefits of these smart printers that will catapult you to a next-generation workplace that can be tailored to enhancing your business. The versatile 3-in-1 Xerox Mobile Link app allows you to capture, manage, and send your prints. Powerful processes can be created and implemented right from your iOS or Android device – using one-touch workflows to easily scan, modify and share. Xerox mobile apps allow you to utilize both the physical and digital worlds. Step 1) Capture from the mobile camera or the smart printer. 2) Tweak, merge or secure the document. 3) Share instantly to single or multiple destinations – email, local folders, cloud repositories, workflow. Discover a familiar tablet-like interface across the entire family of VersaLink and AltaLink printers and multifunction printers . The interface is optimized to make every interaction as simple and efficient as possible. Experience a personalized interface with your very own favorites, layouts and apps to get more done. Easily start or continue any work process right from your app or MFP thanks to Xerox ConnectKey technology. The Xerox App Gallery allows you to add new capabilities as you go. A customer favorite from an ever-growing selection of apps is the Xerox® Easy Translator Service app, which allows you to copy a document into 40+ languages! One-tap access to Google Drive, Dropbox, Box, OneDrive and Office 365 will reduce the steps it takes to scan, retrieve and collaborate on materials in the cloud. Interested in a Workplace Assistant for your Business? If you need help figuring out what MFP would best suit your business functionality, then please contact us and we can help you choose the best option tailored to your specific office needs. We look forward to helping you choose a printer that will play a crucial role in enhancing the performance of your business. Repro Products, Inc. was pleased to sponsor a charity golf outing in our community. 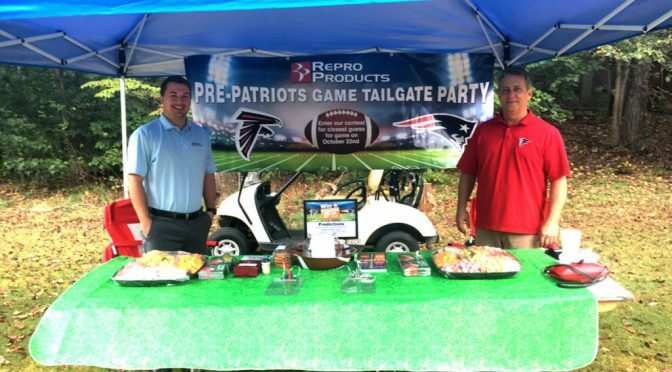 Repro Products recently sponsored the 5th annual J. Christopher’s Charity Golf Outing on September 24th at the Indian Hills Country Club. 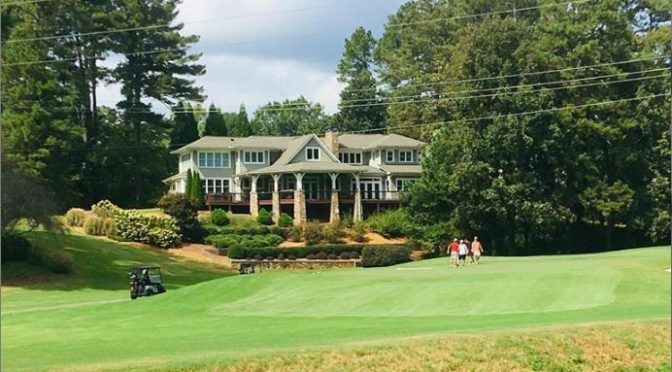 The golf outing proceeds went towards Make-A-Wish Georgia. Thanks to generous donors, Make-A-Wish Georgia has granted over 6,00 wishes in the local community and was able to grant 360 wishes in the fiscal year of 2017. 81 cents of every dollar spent goes towards wish granting. The average cost of a wish is currently $10,800. Nearly 75% of wishes involve travel, including 40% of wishes that are Disney related. Repro Products is very passionate about our work within our community and was pleased to sponsor an outing that went towards such an incredible cause. Make-A-Wish Georgia is a non-profit organization that aims to grant the wish of every child diagnosed with a critical illness. For wish kids, just the act of making their wish come true can give them the courage to comply with their medical treatments. Parents might finally feel like they can be optimistic. And still others might realize all they have to offer the world through volunteer work or philanthropy. Whatever the odds, whatever the obstacles … wishes find a way to make the world better. 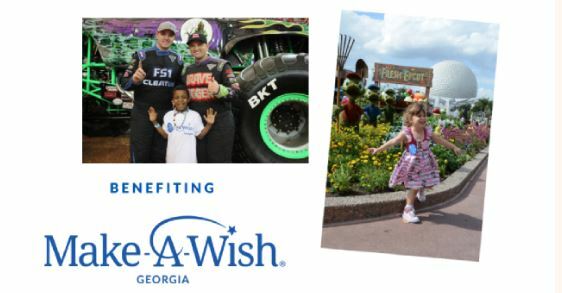 If you would like to get involved with Make-A-Wish Georgia, you can click here to learn more or click the button below to learn ways you can help support this great cause. A brief overview of the Repro Products September 2018 Newsletter is listed below. Your Tools of the Trade-in Value! Your tools of the trade have trade-in value. 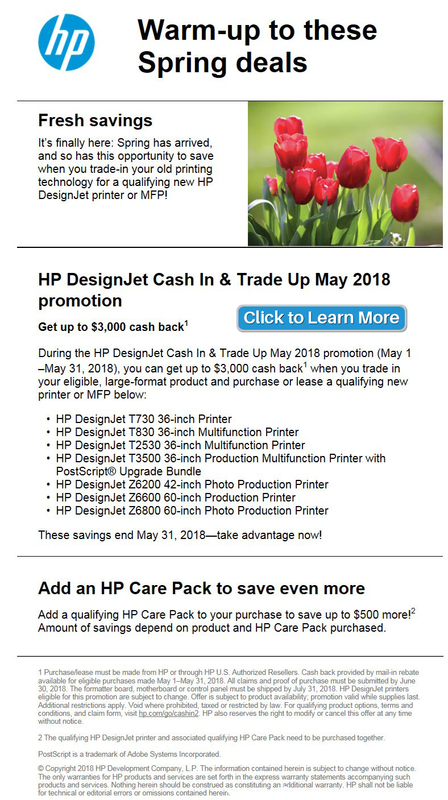 During the HP DesignJet Cash In & Trade Up September 2018 promotion (September 1–September 30, 2018), you can get up to $2,500 cash back on qualifying HP DesignJet printers! To take advantage of this offer, please make your purchase or lease and submit during the dates indicated below. *Save even more: You can also save up to $460 more when you add a qualifying HP Care Pack to your purchase or lease of an eligible HP DesignJet printer. Want to recycle your trade-in product? You have the option of recycling your eligible trade-in, large-format printer through this program. When submitting your claim via the online claim form, simply select “Recycle my eligible trade-in printer” in the “Return Options” area. Your credit card will be billed $325 and shipping instructions will be emailed to you. *To arrange your own recycling through HP, visit hp.com/recycling or discuss recycling options with your HP U.S. Authorized Reseller. 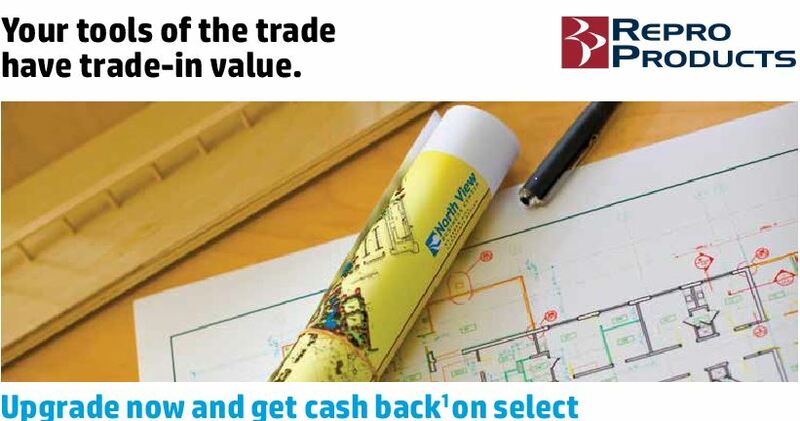 Interested in trading in your printer for cash back? Click here to view a brochure or click the button below to request more information. Is Your Wide Format Printer Working For You Or Are You Working For It? Technology is supposed to increase our productivity, but when we reach the point where our devices require as much attention and TLC as a newborn, it’s probably time to make a change (pun intended). Below are some of the signs that you are working too hard for your wide format printer. A new operating system comes out that promises to make life easier for everyone. But, the printer does not communicate effectively with the new system and the inevitable errors and crashes ensue. If you are updating the operating system in your office, you should consider updating your wide format printers to avoid productivity delays, computer crashes and frustrated (and unproductive) employees. Sure that wide format printer capable of lightning-fast 2 Ds a minute was great when your business didn’t need anything faster, but now that the number and size of jobs has grown, you need a device capable of keeping up with your team. There are a variety of wide format printers in the market today capable of printing 4, 8, 14 or even 30 Ds a minute. If your staff is waiting on your printer to print, you are wasting your most valuable resource – time. While maturity is an admirable quality in humans, it is a definite disadvantage in technology. Chances are you are not driving a car that is 10 or more years old with over 300,000 miles on it (and if you are, you know you are driving on borrowed time). There are many factors that determine the lifespan of your wide format printer including how many square feet it has printed during its lifetime and how well it has been maintained. Wide format printers are notoriously well-built to withstand heavy usage for years, but any device over eight years in age may have reached the end of useful life. When the repair technician has his own coffee cup in your breakroom, you need to start thinking about new equipment. Over time, it can become more difficult to find the ink and print heads required for your wide format printer. When you get to the point where it feels as though you are on an eternal scavenger hunt to find the parts you need, it is time to look at new equipment. The speed of your wide format printer (as covered above) is just one aspect of the overall time spent printing. Many newer models have instant on printing which removes the tedium of waiting for the machine to warm up. Others print mixed sets – mixed in both size and color and black and white – eliminating the need for hand collating. Inks that can be changed on the fly without stopping your print job and choosing models which hold more rolls will also speed up the overall time getting those crucial prints out the door. Interested in a new wide format printer? These are just five common indications that you may need to look at replacing your wide format equipment. Perhaps the most telling sign is if your printer has become the target of much discussion among your staff (and not in a good way). If you hear coworkers plotting on the best way to kill the printer and make it look like an accident, then too much energy is being needlessly expended. There are many options in both models of equipment and purchasing and leasing plans which can make getting a new piece of wide format equipment a painless process. Contact Repro Products for a personal consultation to determine which printer will best meet your needs and budget. You can view all of our wide format printer options here. Be sure to request a quote if you are interested in learning more about a particular wide format printer. 44-inch PostScript Printer with Vertical Trimmer. Receive a free HP DesignJet printer! 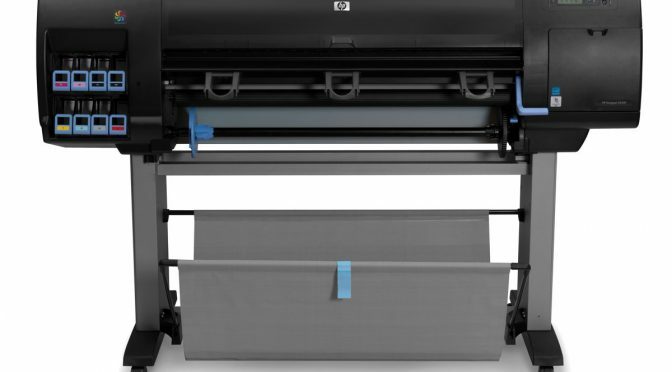 During the HP PageWide XL design trade-in promotion (August 20-September 28, 2018), you can receive a FREE HP DesignJet Z9+ Dual Role 44-inch PostScript Printer with Vertical Trimmer when you purchase or lease a new HP PageWide XL 8000 Printer bundle or new HP PageWide XL 6000 Printer or MFP bundle! 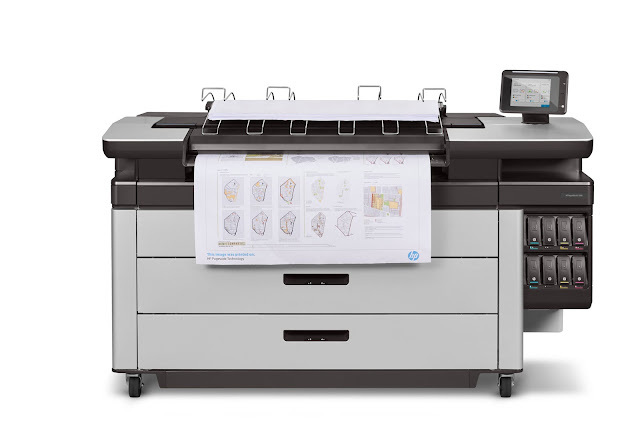 To see if your current large-format printer qualifies, contact your HP U.S. Authorized TPS VAR Service Reseller for details and full terms and conditions. *Act now: offer ends September 28, 2018! BIM is no longer just a cool buzz word to throw around at cocktail parties, it is a reality and it is here to stay. According to McGraw Hill, 50% of owners are requiring BIM to be used on their projects. The increase of BIM is directly tied to the increase of IPD (Integrated Project Delivery) contracts which means the burden for change orders and mistakes is spread around. As the competition for jobs increases, it is incumbent on firms to stand out. But how? By investing in a color wide format printer, of course! What, how can that be the answer? I didn’t even buy into BIM being a cool buzz word at parties – no way spending money on color printing is the answer to winning work and being more profitable. Or is it? Keep reading, it will all come together . . .
Why is BIM Driving Color in Wide Format Printing? 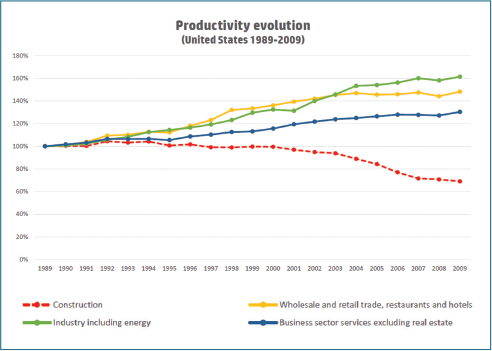 Better collaboration and understanding of construction documents helps reduce rework (read that as COSTS) on jobs. The Economist estimated that 10 – 30% of the costs of any given project can be attributed to mistakes, rework or errors. Printing construction documents in color increases productivity, reduces delays and reduces litigation. Europe has already embraced color printing with 50% of construction documents printed in color, compared to 10% in the U.S. So how does this translate into winning more jobs and reducing expenses? Color documents reduce search time by up to 80% and reduce errors by 80% while increasing retention by 78%. If you can reduce the time on a job, reduce errors AND reduce the costs, your clients will take notice. But doesn’t color cost a lot more than black and white? Recent developments in wide format technology have brought down the price of color printing making it more affordable than ever while increasing the print speeds. If you are unsure of the benefits of color printing, though, perhaps you would be prudent to send some documents to your local reprographer and allow them to print them for you in color. Use them on your job site and see for yourself how big a difference they can make for you. Interested in a color wide format printer? Contact Repro Products for a personal consultation to determine which color wide format printer will best meet your needs and budget. You can view all of our wide format printer options here. Be sure to request a quote if you are interested in learning more about a particular color wide format printer. The Repro Products Family of Businesses is ready to kick off the second quarter! A brief overview of the Repro Products August 2018 Newsletter is listed below. 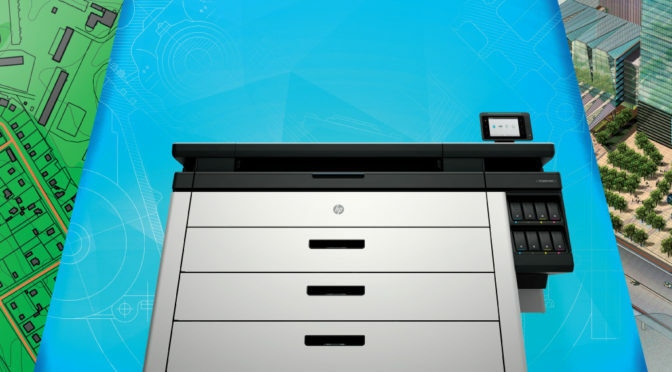 Get Cash Back On Select HP DesignJet Printers! 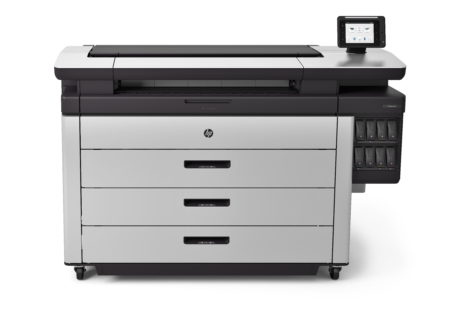 During the HP DesignJet Cash In & Trade Up August 2018 promotion (August 1–August 31, 2018), you can get up to $3,000 cash back on qualifying HP DesignJet printers! *Save even more: You can also save up to $500 more when you add a qualifying HP Care Pack to your purchase or lease of an eligible HP DesignJet printer. Click the button below to request more information about this offer or click here to view a brochure. Interested in winning 4 tickets to a Braves Game? Submit a copy of your office, production or wide format print equipment lease* to marketing@reproproducts.com and be entered in our weekly drawing for a Braves 4-pack of tickets for a game at SunTrust park. If you own your equipment and are interested in a technology refresh, just email us and let us know what you currently own. Check our website, Facebook, LinkedIn or Twitter accounts each Monday in July to see who has won the tickets for the previous week’s drawing. *Valid for 4 Braves tickets for the 2018 regular season (value of $80 or more) for contracts expiring by December 31, 2019. Expiring contract must be with a provider other than Repro Products, Inc. or 4ColorLaser. Take advantage of these limited time opportunities to get more quality and spend less money with these HP DesignJet Offers! Act quickly, these promotions end soon! 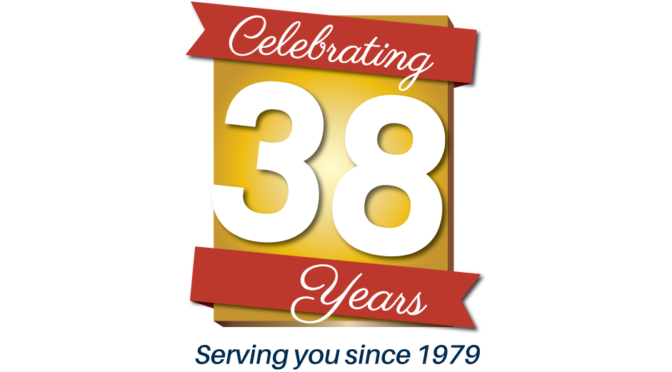 SMYRNA, GA, June 6, 2018 – Repro Products, Inc., metro Atlanta’s exclusive Xerox agency, is celebrating its 39th anniversary on June 6, 2018. Founded in 1979 by Robert (Bob) Feldberg, Repro Products, Inc. (RPI) has grown in both size and breadth of offerings through the years. Originally selling supplies for blueprinting, RPI has continuously embraced new technology to make its customers’ businesses run more smoothly. A leading provider of wide format technical and graphics equipment, printing and reprographic services, Autodesk software and training as well as Xerox office and production equipment and services, RPI also offers 3D laser scanning and drone aerial imaging services. 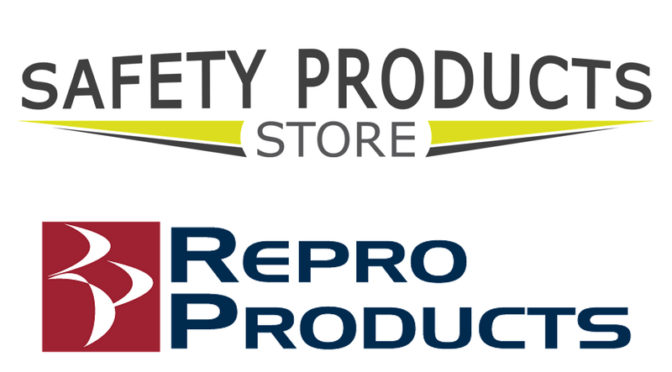 In addition to the growth of the Repro Products corporation, RPI has also developed and acquired additional companies including The Color Spot, Inc. (which split off as a separate company in 2008), 4ColorLaser (a Xerox reseller headquartered in Roswell, GA) and Safety Products Store (which offers customizable safety apparel and products). RPI was honored by the Cobb Chamber of Commerce in 2005 as the Small Business of the Year and has accumulated many accolades from the community for its philanthropic actions and contributions. 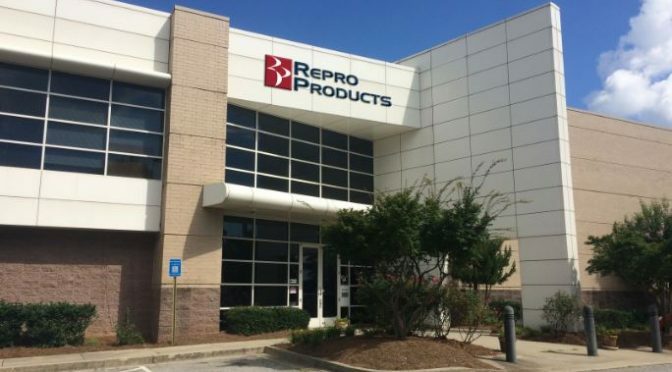 Repro Products, Inc. (RPI), headquartered in Smyrna, GA, has been a Xerox reseller since 1989. In addition to providing Xerox office and production equipment and services, RPI has remained a trusted provider of design and software solutions, industry-leading imaging technology and world-renowned implementation and training services. To learn more about our document creation and imaging solutions, visit www.reproproducts.com or call us at 866-665-7604. HP topped the list for value of color in construction. 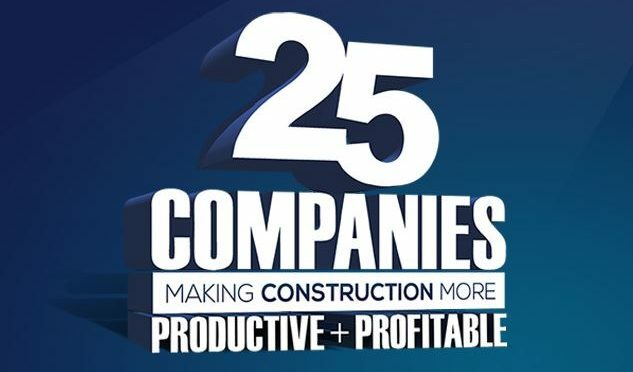 Construction Executive recognized the top 25 companies that make construction more productive and profitable. To view the article click here. More information on HP is on page 60. The technology solutions span every phase of the construction life cycle, from surveying, designing and bidding through estimating and project management. In addition, these companies make the tech that contractors depend on to manage their personnel, vendors, equipment, financials, payroll, document printing and more. With an extensive portfolio, HP helps enable construction executives make printing in color much easier and cost effective. When looking for ways to increase profitability and productivity, construction executives and project managers are more frequently identifying the “human error factor” as an opportunity to reduce costs, and are finding success after converting traditional black and white plans to color. Doing so increases contractors’ and subcontractors’ effective communication in the field. In fact, studies have shown that every $1 invested in color can yield $4 in cost savings for a given project1. 32 percent cite poor communication and collaboration as one of the leading obstacles to partner-related productivity, underscoring the need for better partnership models among contractors, clients, and investors. Studies suggest that between 70 percent and 90 percent of projects exceed the original planned cost, and the overrun commonly reaches between 50 percent and 100 percent of the budget. Twenty-one percent of the time, poor exchange of information and communication causes errors at work. Project owner: A major concern is closing the project on time with no extra costs. Any delay in the project delivery is most likely to result in extra costs. Architect: Focused on transmitting attractive ideas and appealing designs when planning and designing. Providing misleading information can delay the entire project execution. General contractor: A primary task is monitoring and controlling the implementation of the project. Any error when transmitting information can result in litigation, as well as additional costs and delays with the project owner. Subcontractor: The focus is on delivering on requests as quickly and accurately as possible, minimizing errors. Information errors can result in rework and time delays and penalties from the general contractor. Color printing has become an important component in projects because it can decrease human error rates. It has been proven that color documents are more easily understood and the information is retained at higher rates versus monochrome documents.2 The use of color documents reduces errors and allows a team to easily understand the sections of a plan for which they are responsible. During the bidding phase, color documents make a more professional impression than monochrome documents. Throughout the project, the use of color in documents can help keep the project on time and on budget. HP enables construction executives and project managers to add color printing into their workflow by offering devices that make color printing more productive and cost effective. 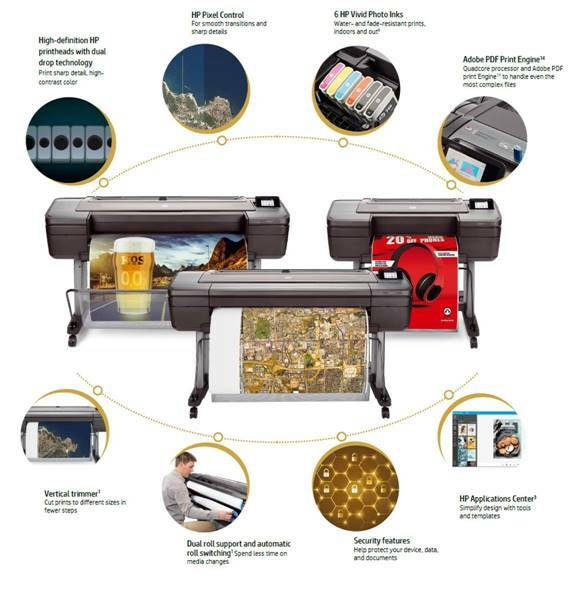 Their portfolio ranges from compact HP DesignJet T-Series 24 & 36″ Wi-Fi enabled printers, designed for CAD and general-purpose applications, all the way up to the high-volume HP PageWide XL printers that can print 30 D-Size (24×36″) plans in one minute, with integrated scanning capabilities. 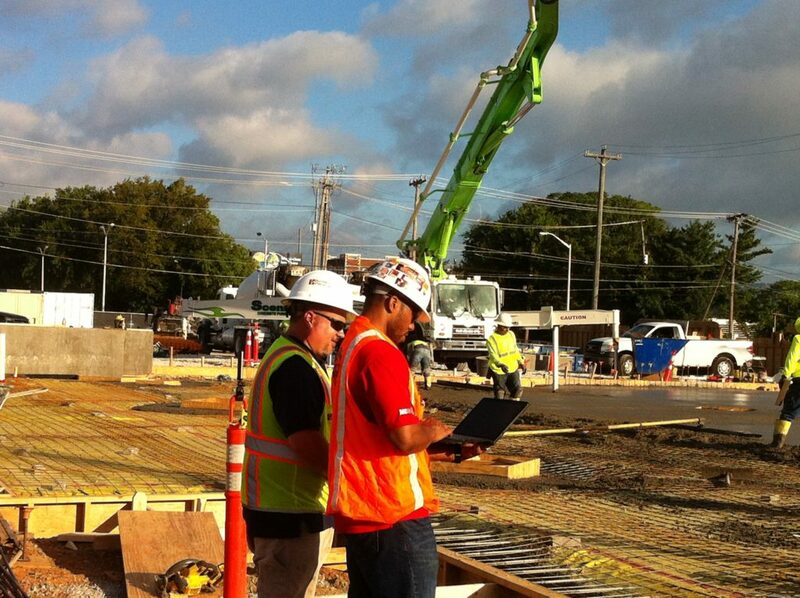 With excellent reliability and ease of use, HP DesignJet and PageWide XL printers have helped many construction companies reduce jobsite errors by enabling quick print revisions, color drawings and onsite multi-function scanning capabilities. If you are interested in an HP printer to make your business more productive and profitable, you can learn more here. The Color Spot (TCS), a sister company of Repro Products, is a proud sponsor of this year’s 6th Annual Atlanta Moon Ride. The event includes a 6 Mile Nighttime Bike Ride and proceeds of the ride are donated to Bert’s Big Adventure, which is a nonprofit organization that provides a magical, all-expenses paid, five day trip to Walt Disney World for children with chronic and terminal illnesses and their families. 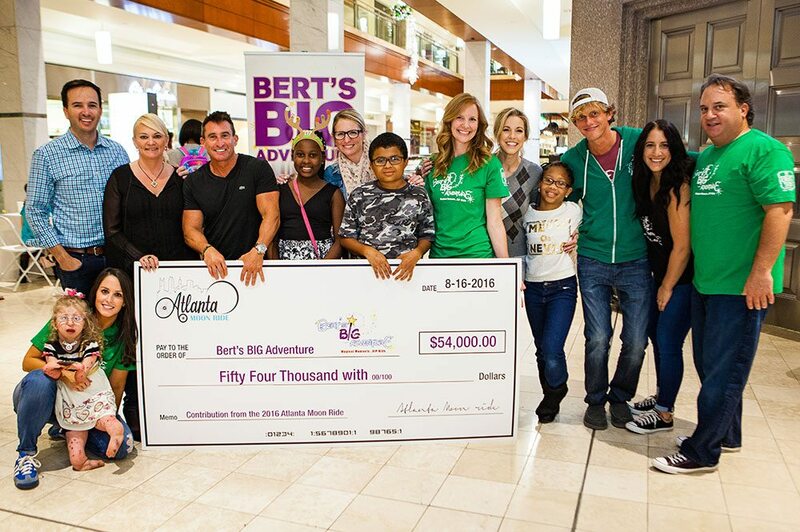 With our support and others, this event has been able to donate over $200,000 to Bert’s Big Adventure. We welcome you to join us at this incredible event that supports an awesome cause! 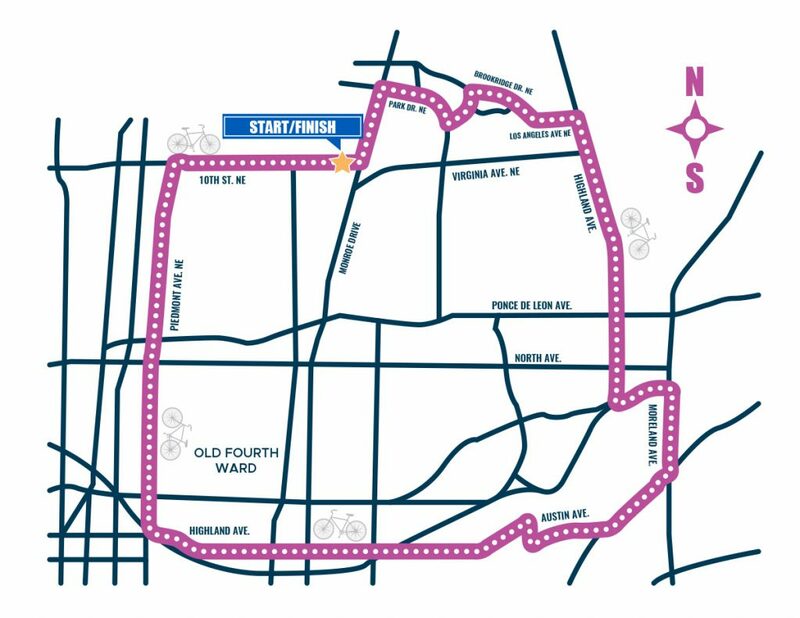 The Moon Ride is open to anyone who wants to hit the streets, whether you’ve got a street bike, a mountain bike, a wheelchair or a good ole cruiser. Bring the family! This is a fun ride and is appropriate for any skill level so come ride with us! The event details along with a map of the ride is listed below. Join us for some live music from Electric Avenue and live DJs, along with outdoor bar areas and food vendors! Guests 21 years and up can also enjoy premium selections of cocktails from Tito’s Vodka and brews from Red Hare Brewing Company. When you arrive, please park your bicycle in the designated bike parking area next to registration. You’ll need to bring a lock! Dust off your best duds and sign up for the Costume Contest presented by Atlanta United. The Grand prize package includes (4) Atlanta United tickets to the July 15th match with a parking pass and (4) personalized 5-stripe jerseys for attendees along with a custom Atlanta United PS4 System. See more details about the Costume Contest eligibility and rules here. 10:30 pm: Guests are encouraged to begin gathering at the starting line! * Costume Contest Winners will be announced! Participants will hit the streets for a fun ride alongside our Atlanta Police Department (APD) escorts and live, rolling music squads! *APD will keep the pace. Remember, this is a ride, not a race! If you are interested in registering for the Atlanta Moon Ride or donating to the cause you can do so by clicking corresponding button below. There are multiple ways to get involved with this great cause from participating in the ride to donating to the cause to volunteering at the event to sponsoring the ride to being a vendor at the race, the possibilities are endless. Show your support for this great cause and have a blast while doing it! 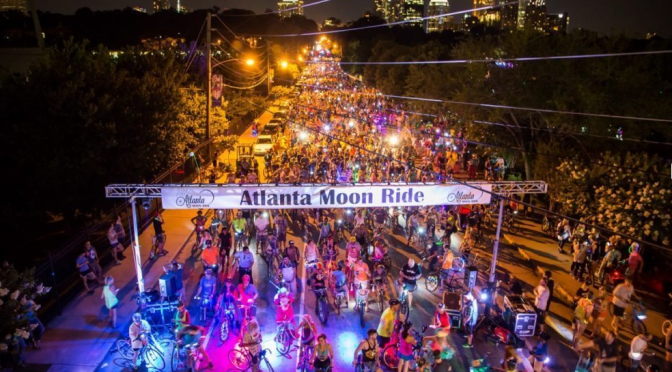 We look forward to seeing you at the Atlanta Moon Ride! Thanks to Web Capture Service from Xerox, scanning functionality has improved to make the process easier for the many companies that have discovered the convenience and added security of digitized documents. Web Capture Service combines app and scanning technology, providing the same level of ease and convenience people experience with their smartphones. Documents can now be scanned into web applications, making the time it takes to enter business data into programs like QuickBooks Online, Microsoft Office 365 and Google Apps significantly shorter and easier. Small and medium businesses, when surveyed, indicated that most capture applications are too expensive, complicated and tedious. Xerox Web Capture Service, however, allows users to insert the information on their document directly into almost any web application that requires a document to be attached, making the process quicker and easier. To simplify things even more, Web Capture Service works with any scanning device (including non-Xerox) and operates as a cloud service right from your desktop. Not only does Web Capture simplify the process of document management by automatically triggering scanning via an easy-to-use browser plug-in, it also makes it easier to scan multiple files thanks to the ‘follow-me’ scan repository. This process both eliminates steps and improves productivity by cutting the time it takes to go from scanning to working and also reduces the risk of errors. Removing numerous naming and storing steps creates a more efficient and reliable workflow. Multiply the number of eliminated steps by the number of employees you have and you will begin to see the cumulative benefits of Web Capture. You can even scan a large volume of paperwork by enabling Web Capture on your Xerox ConnectKey® enabled MFP and scan directly to the Cloud. Once stored there, you simply drag and drop those docs into your business application. It really is that easy. 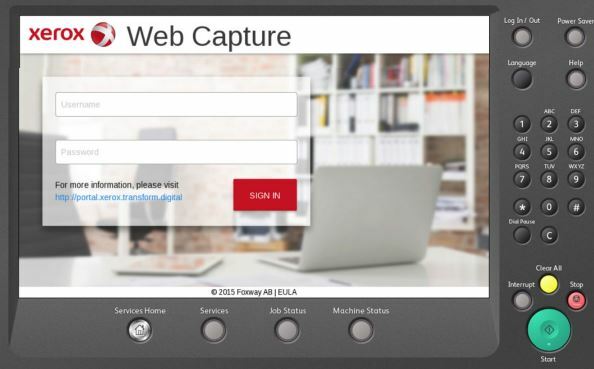 Want to learn more about Web Capture and how your company can begin using this productivity boosting feature? Fill out the form on our contact page or give us a call at 866-665-7604 to initiate your no-strings-attached business assessment today. Georgia has 35,000 certified homeless students in its public schools – 3,000 of whom are juniors and seniors, struggling each day to graduate from high school. There is very little support for these students, homeless through no fault of their own, to access and complete college….in steps the Orange Duffel Bag Initiative. ODB provides a coaching solution and ongoing advocacy to help these students overcome personal and academic barriers. 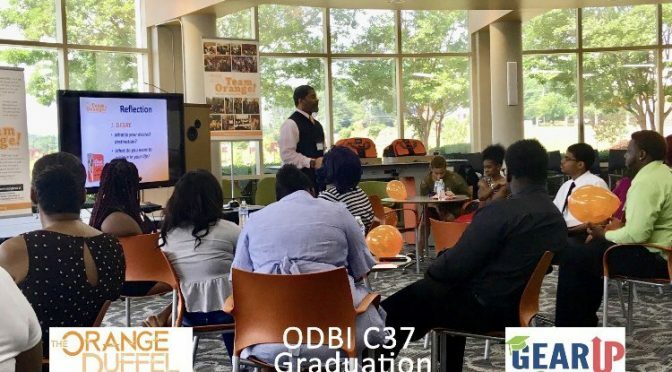 ODB conducts a 12-week after school program for high school and college students who are at risk for not completing their secondary and post-secondary education. Repro Products played an instrumental role in helping ODB reach a major milestone of 1,000 graduates through the initiative. 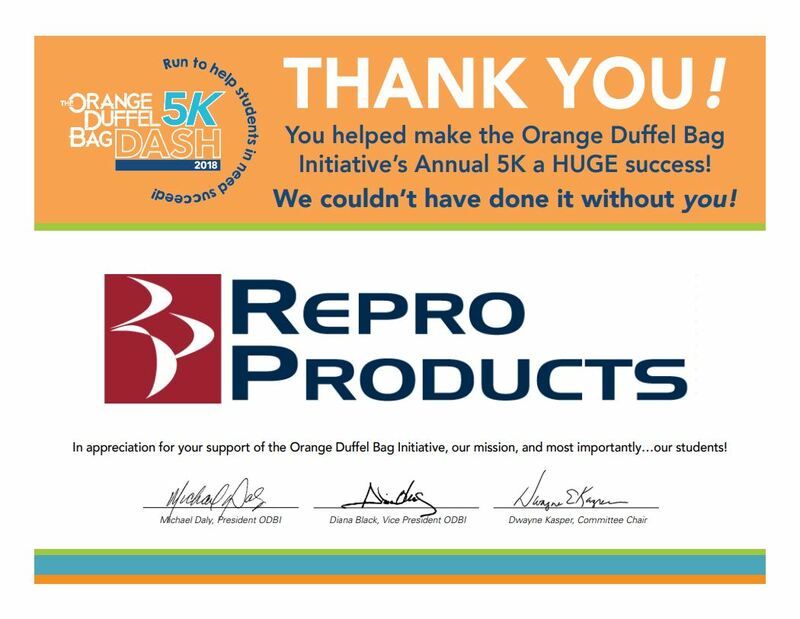 Repro Products is very passionate about our work with ODB and has sponsored several events over the years. 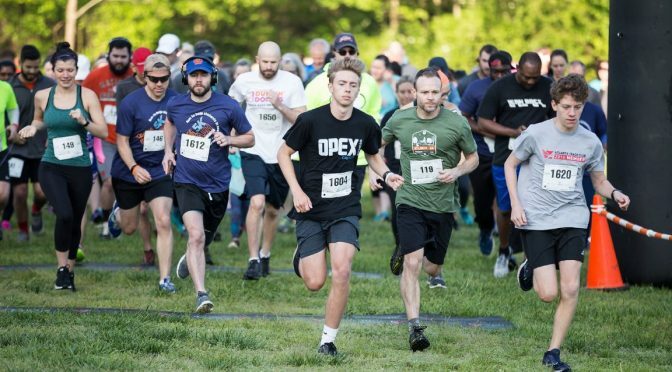 Proceeds from the events have directly benefited the high school and college students who are homeless, aging out of foster care, or experiencing extreme poverty in our local community. The goal of the initiative is to create community partnerships and achieve collective impact for positive systemic change and measurable results on behalf of our nation’s most vulnerable students. Repro Products, Inc., Atlanta’s exclusive Xerox Agency, has some proven methods to help you cut business expenses through better document management. Many of these are quite simple and can be put into practice immediately, meaning you can start saving money right away. With businesses spending approximately 3% on printing, this is the third largest business expense behind rent and payroll. If your company is like most companies, you underestimate how much you’re spending on printing by around 40%. There are some simple strategies, like printing on both sides of the paper whenever possible and restricting color printing, that are good places to begin saving money. Xerox printers let you set permissions and restrict color printing to specific documents, departments or employees. Almost half of printed pages are discarded and another 20 percent are never picked up from the printer at all! Eliminate unneeded printing with Xerox printers that don’t print until the user validates the print job with a PIN code they enter at the printer. The page that was never printed is the biggest savings of all. Although the above strategies will provide some savings, engaging Repro Products to outsource your print management is the most effective way to reduce your print costs. A managed print services (MPS) strategy can cut your costs by up to 30%. You will also get a single point of contact who can manage your vendors, handle supplies ordering and provide a detailed understanding of your print environment. We will also provide support and advise you on industry-standard best practices. Contact us to find out more about managed print services. When you want to cut costs, your hardware is another expense you need to examine. A print assessment by Repro Products can identify opportunities to save money while boosting efficiency. If your organization can’t immediately determine how many printers are in your office, where they’re located or who is printing on them, an assessment is the first step you need to take. 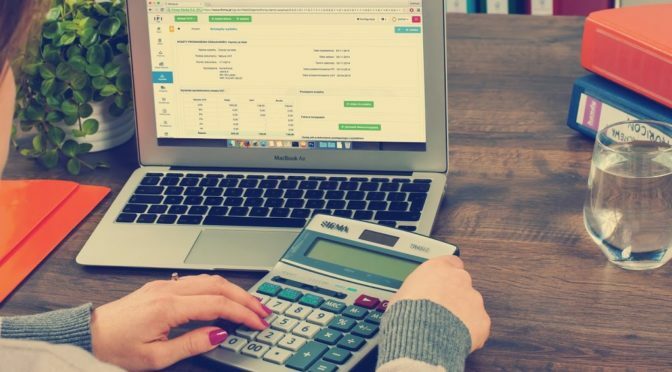 While it may seem counter-intuitive to spend money on new equipment in order to reduce costs, outdated office equipment can be an unnecessary drain on your budget. Dated equipment is inefficient and is likely the source of many costly repairs. A print assessment can also tell you the best placement of your devices for the teams they serve in order to achieve optimum utilization. Digitizing documents and storing them in the cloud reduces expenses by decreasing printing and by improving productivity. 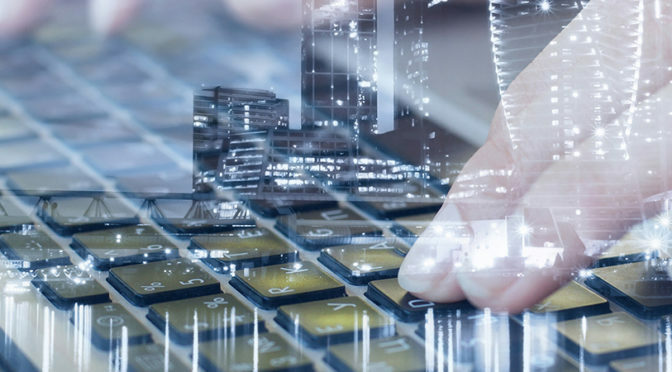 Digitization can eliminate paper from how you invoice, report financials, manage legal and human resource forms and handle other time-consuming processes. It reduces your office space needs as well since you’ll have fewer physical records to store. Xerox Web Capture Services automates and scans documents for immediate use without the additional steps of creating files, renaming documents and importing to an applications. Now scanning is easier than ever, eliminating a difficult learning curve and making your transition to digital easier than you may imagine. It also works with any brand of scanner so you won’t need to invest in new ones. 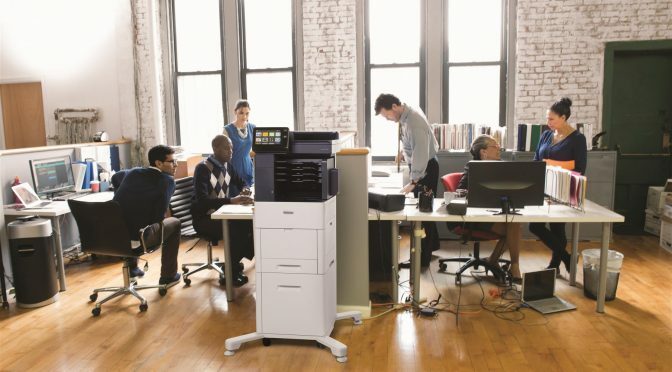 Xerox printers using ConnectKey Technology® let you scan and print documents directly to and from cloud storage apps like Microsoft 365 and Dropbox which is a huge time saver. INTERESTED IN A NEW XEROX PRINTING DEVICE FOR YOUR BUSINESS? Need help choosing a document management solution for your office? 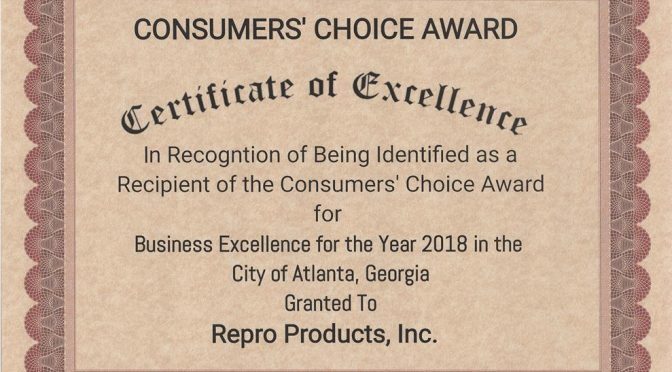 Contact Repro Products, Inc., Atlanta’s Exclusive Xerox Agency, for a needs assessment by clicking here. We look forward to working with you and helping you improve your bottom line. A brief overview of the Repro Products April 2018 Newsletter is listed below. 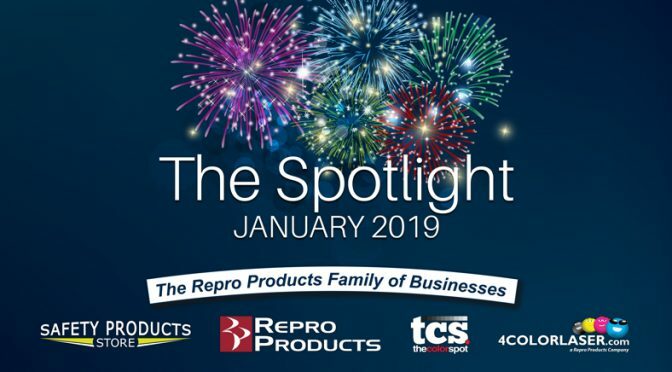 The Repro Products Family of Businesses started off the new year with a bang! A brief overview of the Repro Products March 2018 Newsletter is listed below. A brief overview of the Repro Products February 2018 Newsletter is listed below. 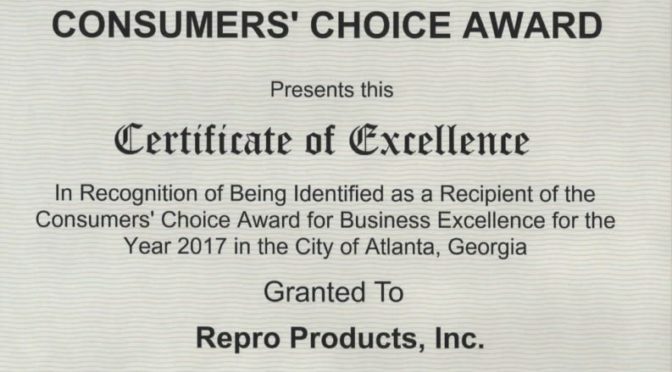 Repro Products, Inc. was recently presented with the 2017 Consumer’s Choice Award (CCA) for office copiers/independent dealers. Recipients of the CCA represent “Best in Class Businesses” in the quality of their service, value, professionalism and integrity. If your company is like the majority of small and medium-sized businesses, increasing productivity, improving security and cutting costs are all priorities for you in 2018. One strategy you may not have considered to achieve these goals is to update your print devices. BLI (Buyer’s Lab Inc.), the source for unbiased test data on the global document imaging industry, recently chose 13 Xerox print devices as “Winter 2018 Picks.” These award-winning devices can assist your company with achieving your business objectives this year. Xerox was also named winner of BLI’s “2018 Monochrome Printer & MFP Line of the Year” award. Need help choosing which of these award-winning devices is best for your office? Contact Repro Products, Inc., Atlanta’s Exclusive Xerox Agency, for a needs assessment by clicking here. We look forward to working with you and helping you meet your business objectives in 2018. 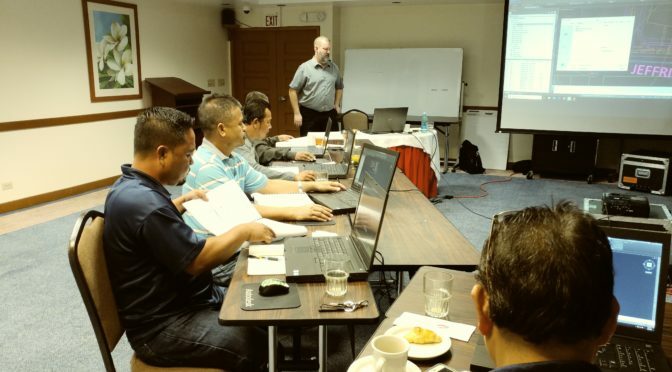 This is a record even for us – Dave Young is over 7700 miles from Repro Products HQ teaching Civil 3D training for the Department of Public Works in Saipan! Autodesk® AutoCAD® Civil 3D® helps civil infrastructure professionals improve project delivery, maintain more consistent data and processes, and respond faster to project changes, all within the familiar AutoCAD® environment. If you are interested in learning more about AutoCAD Civil 3D then check out our Upcoming Events and Training Classes. Say goodbye to ancient, one-trick pony printers and say hello to the next generation of printers that encompass all of your office functionality in one device. The modern printer is a multifunctional tool that delivers a myriad of services to increase your office productivity. Today’s multifunction printer (MFP) is not limited to just printing, but instead it is capable of scanning, faxing, printing and more to consolidate your office workflows to just one machine. The newest generation of MFPs even support apps that improve security, provide language translation and more to free your workers for other tasks. Learn how one piece of office equipment can support and help grow your business in an increasingly deadline-driven work environment. Here are 5 reasons why a multifunction printer is vital for your business. Think of your printer as a member of your team. Your printer is a cog in the wheel of the workflow process that you need to run as smoothly as possible without any hiccups. Not only will an MFP print more quickly than your standard printer, but it will also allow you to perform multiple office functionalities with one machine, allowing you to save time and boost your company’s productivity. People depend on printers at work every day, so all interactions with your printer should be as user-friendly as possible. This means that every feature of your printer should be intuitive so that it is easy and straightforward to use. 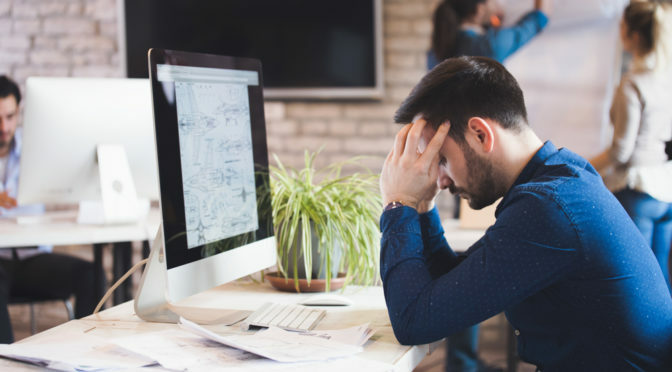 This also means that if any issues arise with the printer, that the user can be easily guided as to how to fix the problem and continue with business as usual. An improved user experience ultimately saves you time and money by making each phase of the printing process as simple and painless as possible. According to Xerox, the average worker in the U.S. with a shared central printer spends three minutes waiting for a print job. This might not sound like much, but that adds up to 13 hours a year! Easily personalize the interface for each MFP user. Each user has the ability to manage their print jobs and create a customized experience that works for them. Users can quickly access documents they need to print, scan or fax from cloud services like Dropbox, Google Drive or OneDrive. They can even connect to your MFP from all devices with the latest mobile technologies. MFPs allow customers to be delivered forms, contracts, proposals etc. on the spot at the point of service or contact. For instance, a statement of work could be generated online, printed out during a meeting for a client’s signature and then scanned back into the system. This is the functionality of three devices being replaced by the use of one machine to expedite your workflow and ultimately improve your customer service. 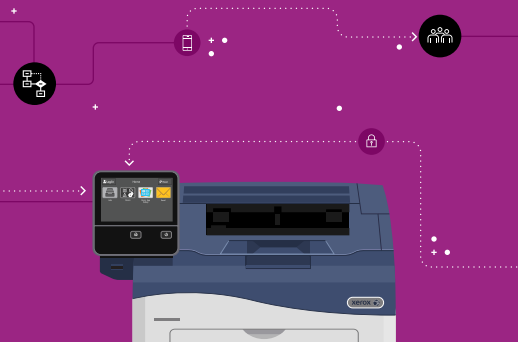 Catapult your business into the digital age with the latest generation MFP. Not only will you be cutting costs, streamlining operations and increasing your office efficiency, but you will have the added bonus of creating more physical space in your office by shrinking the size of your print corner. One MFP will replace the need for three separate machines. The upgraded functionality of your printer will cause a ripple effect that ultimately results in better business and faster service for your customers. Need to upgrade your printer? Let us help! If your printer is slowing down the productivity of your office or you have simply outgrown the functionality of your current printer, then check out these MFP options. If you need help figuring out what MFP would best suit your business functionality, then please contact us and we can help you choose the best option tailored to your specific office needs. We look forward to helping you choose a printer that will play a crucial role in enhancing the performance of your business. Happy Holidays from the Repro Products Family of Businesses! 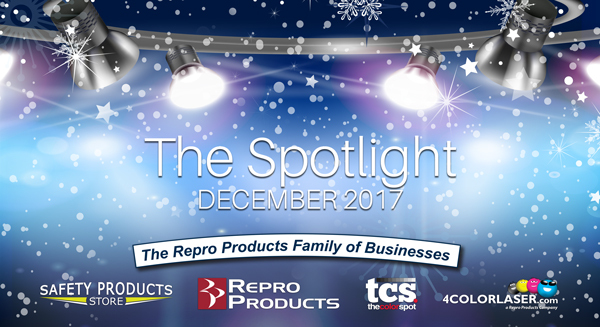 A brief overview of the Repro Products December 2017 Newsletter is listed below. The newest additions to the HP PageWide XL line of printers and MFPs have sharp, faster (up to 70% faster!) output, enabling technical production providers to grow AEC volume and expand business in color applications. These new products offer features that improve on-the-job productivity with faster, lower cost printing and end-to-end workflow solutions. To learn more about the entire HP PageWide product line from Repro Products, click here. The new 2018 wall calendars are here! 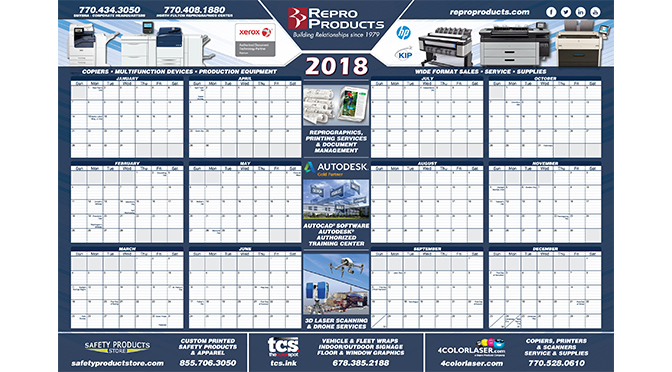 Get your new 2018 Repro Products wall calendar FREE with your next order! Just let us know how many you need and we will send them with your next purchase. Repro Products was pleased to support The New South Foundation’s 5th Annual Golf Tournament on October 16th by sponsoring a table at one of the holes. New South Construction holds this golf tournament every year to provide funding to the New South Foundation which supports charities and community service projects and also offers a scholarship program. Pictured are Sean Mooney and Zack Perkinson representing our wide format and Xerox office equipment sales departments. In addition to serving tasty snacks, we ran a guessing game to determine who could come closest to guessing the final score of the October 22, 2017 rematch of the Atlanta Falcons and New England Patriots. Check back next week to see who won our game and a $100 Home Depot gift card. Contact Repro Products for a personal consultation to determine which printer will best meet your needs and budget. 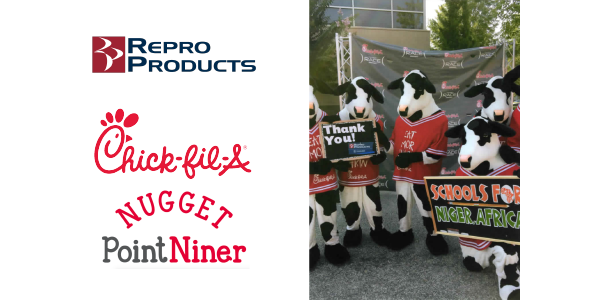 Repro Products, Inc. is proud to be a continued supporter of the Chick-Fil-A Nugget Point Niner Fun Run. Are You Taking Advantage of Section 179 for 2017 Tax Year? A major part of any business strategy is making the right investment choices to position your company for long term success; including choosing the right equipment to push your business in the right direction. However, one of the toughest obstacles facing businesses is finding the capital to pay for that investment. Consult your tax and financial advisors to review and assess the factors that may apply to your business and tax situation. Business owners can take advantage of purchasing equipment and deduct the full purchase price of financed or leased equipment for the current tax year. The equipment must be within specific dollar limits. The Section 179 Tax Deduction of the IRS Tax Code allows a business to deduct, for the current tax year, the full purchase price of financed or leased equipment that qualifies for the deduction. Major expenses typically are required to be depreciated over a term of years to account for what is known as the “useful life of the purchase” as dictated by the IRS. However, with the Section 179 tax deduction, business owners can elect to immediately expense the full purchase price of the equipment. For example, if you purchase equipment for $50,000, you would typically write it off a little at a time through depreciation. Such as, $10,000 per year for say five years. However, most businesses would prefer to write off the entire equipment purchase price for the year they purchased it. This makes it more attractive to purchase more equipment when needed, instead of carrying over the purchase amount minus depreciation. What Purchases qualify for Section 179 Deductions? When Can You Elect to Use the Section 179 Deduction? You are eligible to take advantage of the Section 179 tax deduction for the tax year in which you placed the purchase(s) in service. For example, if you purchase a HP PageWide XL 8000 Printer and place the equipment into service by December 31, 2017, then you would be able to take advantage of the Section 179 deduction when you file your 2017 tax return. To better understand Section 179 for 2017, visit Section179.org. Need help selecting the right investment for your business? Your Repro Products Business Development Manager can help you determine a technology investment strategy which will give your business a competitive advantage. 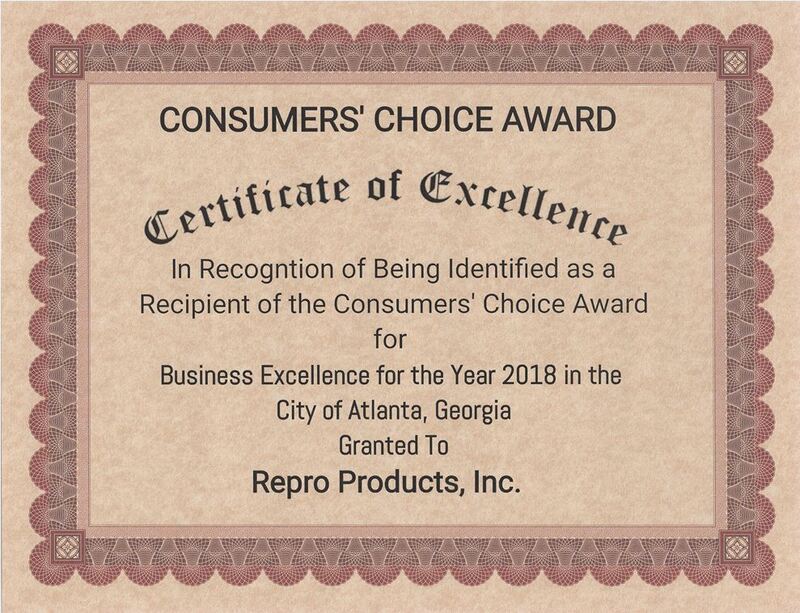 Simply visit Repro Products, email sales@reproproducts.com or call 770.434.3050 to begin maximizing your write-offs today. See below for more helpful articles with expert information on Section 179, and be sure to speak with your financial and tax professional about what impacts these deductions can have on your business. Is your file on Data Island? One of the biggest “Grudge Fests” my engineering clients have is sharing their files and projects with internal colleagues. Having worked with our clients and their Autodesk software for over 20 years, we have really gotten to know the internal ecosystem of your offices. Many firms try to store their files on networks folders using Windows Explorer. When you have to share your data with a group, there is no simple way of protecting your project files from being overwritten. It is no surprise that even when this method of sharing data is policy, you will always find islands of the same data with different names, same versions with the same names, and files you just really need to work with stored on someone else’s data island. Engineers spend a great deal of time trying to find the correct file. Which one is the most up to date? Also, when copying or renaming files, you find yourself needing to repair references. If the data is on a shared network, it is much harder to find if you do not know the file name. We see hundreds of manually maintained spreadsheets where engineers try to find some way to be able to understand how to locate the data they are wanting. Is it any wonder that you want to keep your own set of files locally on your own computer? Project data management should make your job easier, not more frustrating. If you’re like most firms, Microsoft Windows Explorer and some mapped network drives are what you use to organize your Project data into manageable parts. You might have one drive for design data, another drive for administrative data, and additional drives for other content such as submittals, client files, and more. Although this type of setup is common, it can be problematic. Project data can easily be stored in the wrong subfolder or drive or even server. It can be too easy for project data to be accidentally misplaced–for example, by dragging and dropping a folder into another folder without even realizing it. Worse yet, what about problems due to improper file access controls? What does maintaining the security of your design project data mean to you? 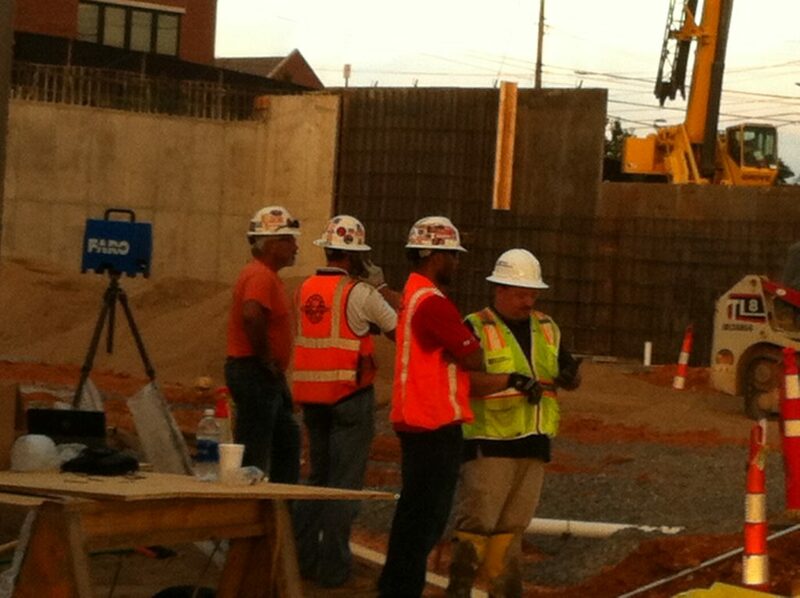 A typical civil project consists of many team members. Even though these members are all part of the same team, their need to access, edit, create, or delete project information is different. Drafters should be able to access, but not edit, a project’s design. Engineers should be able to access survey data, but only after the surveyor approves it. Administrators should not be able to delete the engineer’s correspondence. And no one should ever be able to alter the record drawings. If the wrong people had the wrong access rights to your project data, the results could be disastrous. Causing severe delays and costly errors for your project, your firm, and even your clients. 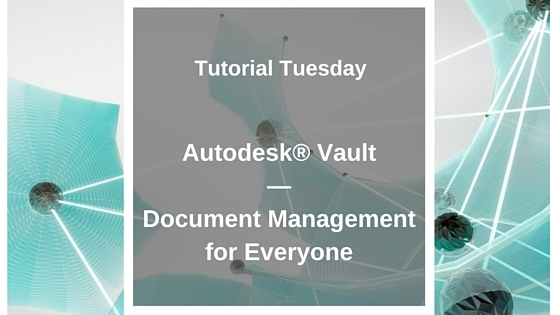 Autodesk Vault Professional can get your files off Data Island. It works with AutoCAD and Civil 3D. You do not have to worry about long file names, card indexing or complicated rules. It is easy to use and genuinely gives you time back to actually do the parts of work that you enjoy. Helping our clients implement Vault is one of our favorite things to do. We have been doing it for a long time and get the most satisfaction keeping our engineers off the Island. Interested in learning how we can help your team improve data management with Vault? Repro Products’ laser scanning specialist, Rob O’Dell, with McCarthy Construction’s project manager, Shannon Lightfoot, at their Chattanooga jobsite. 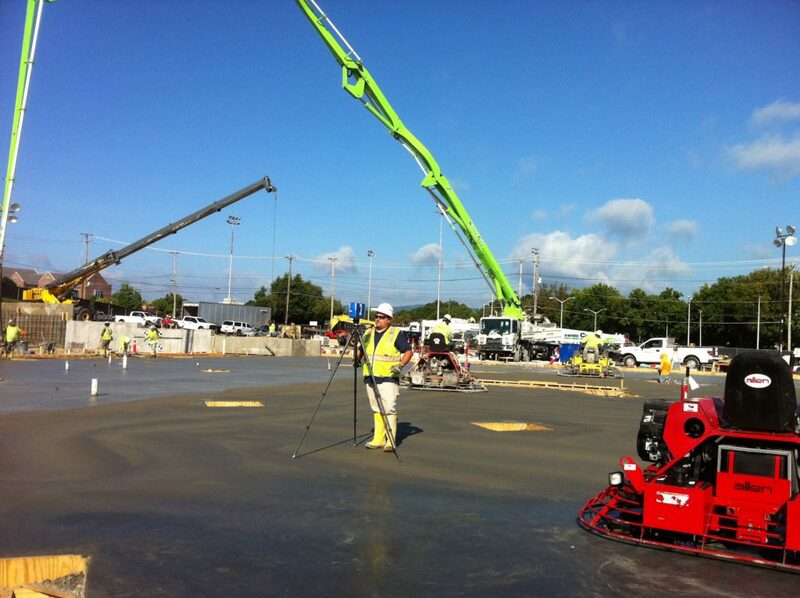 The 3D laser scanning data was analyzed during the concrete pour to determine floor flatness/floor levelness. 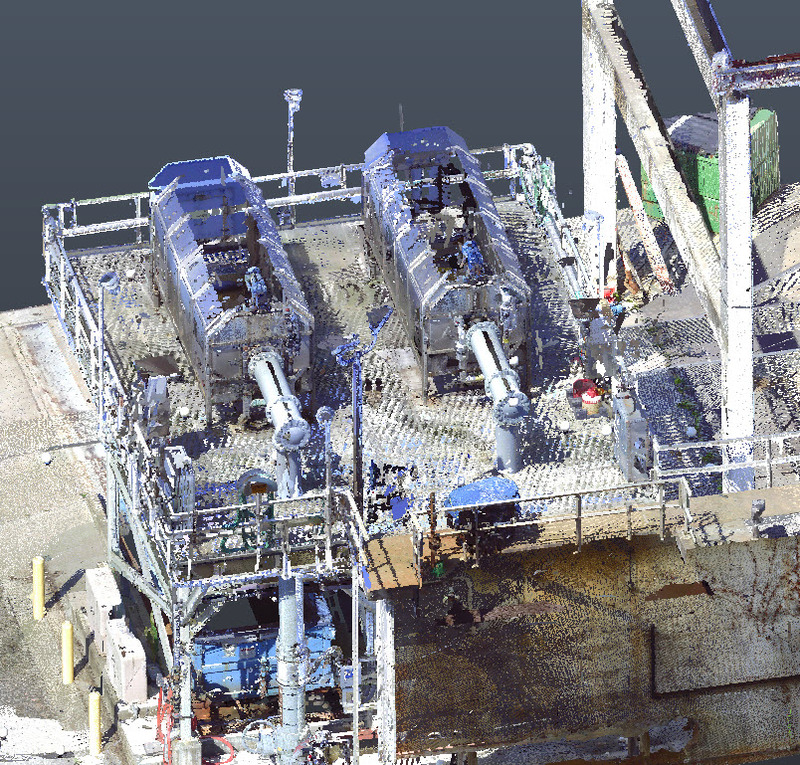 Learn more about our 3D Laser Scanning services and projects. Having been a Value Added Reseller of Autodesk software for over 20 years, we have experienced the transition of training techniques. For the type of software we support, newer methods rarely provide clients a level of learning comparable to traditional training. We still offer open enrollment In-Person training because we understand and value our client’s actual business. In 1997, all of our open enrollment training classes were always full. AutoCAD was just integrating with Windows and some of our larger architectural clients were still implementing internal company email. Through the years, the software has changed. We have more architectural clients on Revit than AutoCAD. Our civil engineers and surveyors use AutoCAD Civil 3D. 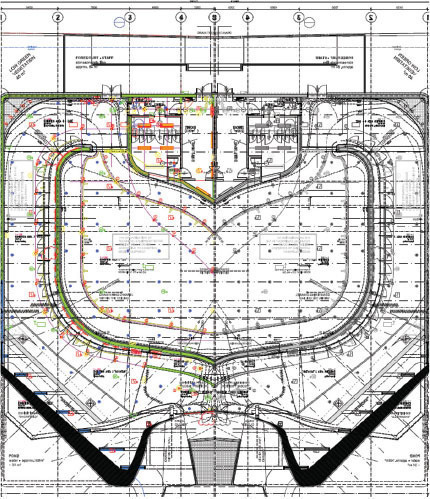 However, we have a large client base of contractors who still use AutoCAD. When clients were hiring new employees, they would send them to training. When clients were making the transition from 2D to 3D, they had full implementation services that included classroom and project-based training. When intranet bandwidth grew and travel budgets tightened, we saw the evolution of online training. The next progression was the explosion of pre-recorded online videos. Business Owners and Managers tend to take the path of least resistance. This is especially true when it comes to making sure employees are (and stay) trained properly in a software system that accounts for 6-8 hours of use a day. Students learn better and retain more when training is in an uninterrupted, scheduled environment. Clients’ ROI of new software and versions are the poorest when end users are left to their own schedules to watch videos. Students who attend a live presentation via the web are directly dependent on their own ability to not multi-task during training. Those in the architectural, engineering and design fields are typically caught up in projects. When not physically removed from the computer or environment of normal work, the chances of poor understanding and retention exponentially increase. In-Person training allows the trainer to walk the room during exercises to see if commands being taught are being executed properly. It also makes it easier for students to ask questions by being truly interactive. Some clients do not have enough students for a dedicated class of their own. Or if they do, they cannot afford for all of them to be taking training at the same time. We still offer open enrollment In-Person training because we understand and value our clients’ actual business. Training classes for our core products are offered at our training center in Smyrna, GA every 6-8 weeks. Click here to learn about our in-person software training classes for Autodesk Software. SMYRNA, GA, August 7, 2017 – Repro Products, Inc., Atlanta’s exclusive Xerox agency, announced its newest community service program, Free Copiers for Non-Profits. Since Repro Products was established in 1979, the company has made giving back to its Community a top priority. To learn more about the program and access an application, interested non-profit organizations with 501(c) tax exemption status should visit www.reprogives.com. Selected organizations will receive free use of a Xerox color copier, delivery, installation and training. 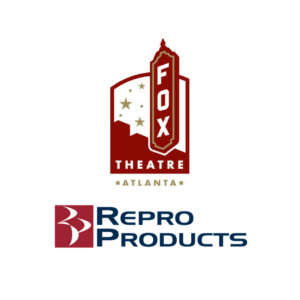 Repro Products, Inc., metro Atlanta’s exclusive Xerox Agency, was incorporated in 1979 and has been a Xerox reseller since 1989. In addition to providing Xerox office and production equipment and services, Repro Products is a leading provider of wide format equipment, printing and reprographic services, Autodesk software and services and 3D laser scanning services. Repro Products, Inc. (RPI) started as a blueprint business in 1979. Thirty-eight years later, RPI is still a family-owned business that has grown to be a vibrant company with two metro Atlanta locations and three spin-off companies. As Repro Products grew in size, it also evolved from a company which provided blueprints and drafting tools to a technologically-savvy enterprise which today offers top-notch reprographic and color printing services, state-of-the-art printers and copiers and the latest Autodesk design software. Although we are larger than we were in 1979, we continue to operate under the philosophy that our customers’ satisfaction is our top priority. It is this principle which has enabled us to sustain for almost 40 years with many happy repeat customers. 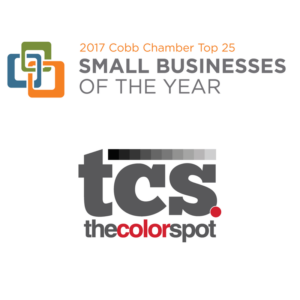 Repro Products congratulates our sister company, The Color Spot, for their inclusion in the Cobb Chamber of Commerce Top 25 Small Businesses of the Year for 2017. Great work team! 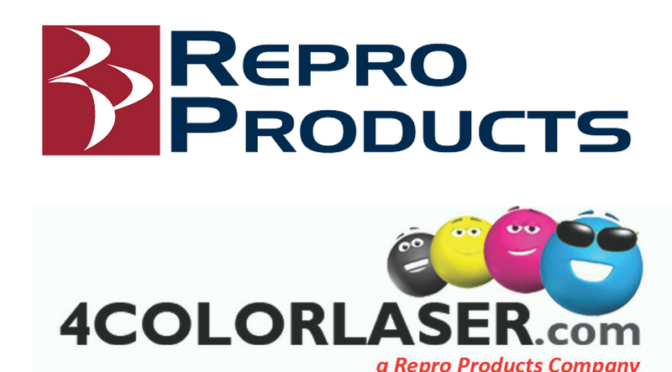 Repro Products, Inc. announced that it has acquired 4ColorLaser, a Xerox Authorized Dealer headquartered in Roswell, GA. The purchase will allow both companies to better serve the office equipment needs of businesses throughout metro Atlanta by combining the strength of two well-respected Xerox resellers and substantially expanding the bandwidth of both companies’ service departments. 4ColorLaser will now be identified as a Repro Products company and will continue to operate with the existing staff in its present location. “This investment represents an important strategic opportunity to offer enhanced efficiency and customer service for companies seeking office equipment solutions throughout the Atlanta area,” said Bob Feldberg, President of Repro Products and 4ColorLaser. Click here to view feature in the Cobb Business Journal. Repro Products’ sister company, The Color Spot, Inc. is the Official Printer of the Candler Park Music & Food Festival being held June 2nd & 3rd at Candler Park. The Candler Park Music & Food Festival proudly benefits City of Atlanta Parks and Candler Park neighborhood 501c(3) organizations. For more information on The Color Spot and their offerings, click here. For additional info on the Festival, click here. SMYRNA, GA, October 7, 2016 – Imagine how much easier their task would have been if Atlanta Landmarks’ “Save The Fox” organization had the advantage of 3D laser scanning data which would have given them precise, as-built renderings of the theater exactly as it was when it first opened in 1929. Unfortunately, that project took place before the technology that documents space to within ±2mm existed. Forty-one years after that restoration project, the Fox Theatre’s personnel recently engaged Repro Products, Inc. (RPI) to utilize decidedly 21st century 3D scanning technology to document every part of the historic space from the basement to the rafters. The project was undertaken to accurately capture the facility with point cloud data which will be used for historical documentation and renovations, as well as maintenance and operations. RPI, one of the pioneers in providing 3D laser scanning services to property owners, architects, General Contractors and property managers across the U.S., has scanned the facility creating billions of data points. 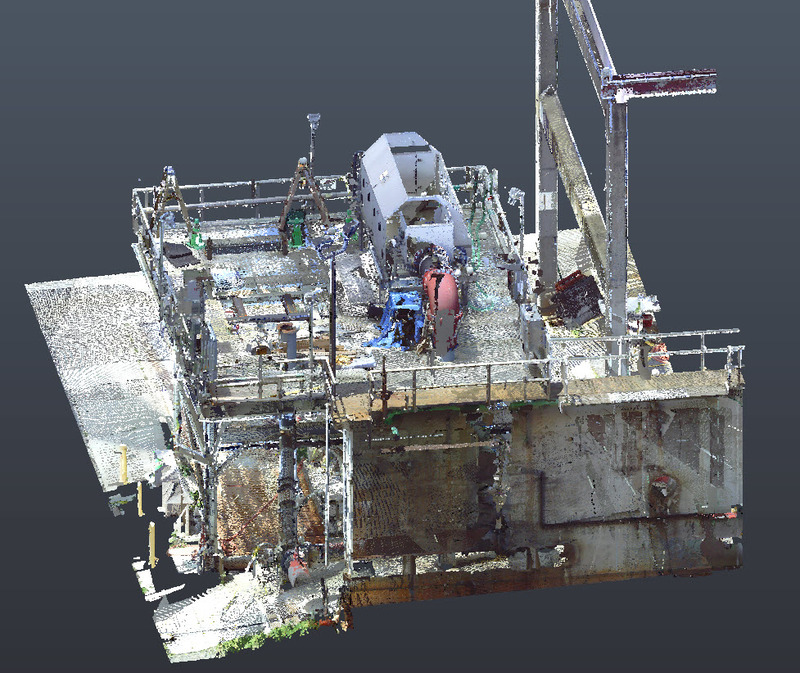 Point cloud data from 3D laser scans is used to create 3D models which are useful for the past, present and future. 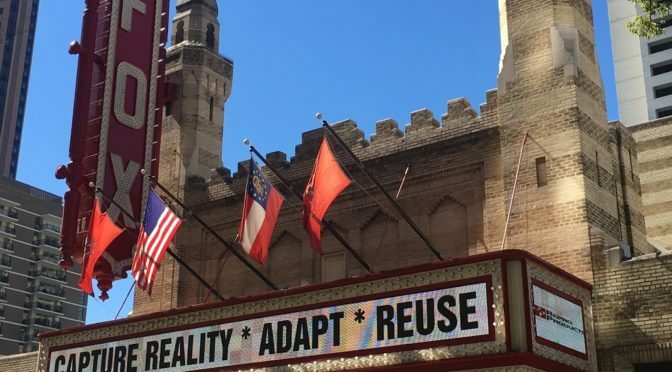 Like many other historic landmarks around the world such as Mount Rushmore and the Tower of London, it was imperative to scan Atlanta’s beloved landmark, The Fox Theatre, to create documentation which will serve as a historic preservation tool. This data will also enable the Fox managers to understand the entire space and represent with precision how each space interacts with the others, providing measurements which are useful for the day-to-day operations of the building. When the need arises to make any repairs, workers will be afforded accurate floorplans which will facilitate timely and cost- efficient decisions and the ability to restore the property to the condition it was in on the day it was scanned. The 3D model will also be crucial as any enhancements are made to the space, such as the upcoming incorporation of the former Churchill Grounds into the Fox facility. This will enable the historic space to honor its past while it stretches to meet the needs of today and tomorrow. Repro Products, Inc. (RPI), established in 1979, specializes in 3D laser scanning services, CAD software and imaging solutions. As metro Atlanta’s Xerox Agency and a leading provider of wide format equipment, RPI is the preferred source for printers, copiers, scanners and production equipment. RPI’s 3D Imaging Division’s services include field laser scanning, point cloud processing and Autodesk® software implementation workflows. Certified scanning professionals from RPI have extensive experience in data collection and real world application of the data to create meaningful models. According to a recent market research study conducted by Market Reports Hub, the 3D Scanner market size is expected to grow, in terms of value, from $3.41 Billion in 2015 to $5.90 Billion by 2022 at a compound annual growth rate (CAGR) of 9.6% between the same time period. The largest gain in popularity can be attributed to portable CMM-based 3D scanners because of the convenience and wealth of possibilities they afford for scanning tight spaces with a high rate of accuracy when applied to conventional and non-conventional scan jobs. Portable CMM-based scanners are categorized into handheld and articulated arm CMM. Expected to grow at the highest rate in the portable CMM category are the handheld 3D scanners. 3D Laser Scanning is the process of collecting data points of physical objects using a line of laser light and transforming them into point clouds of data from the surface of said object. 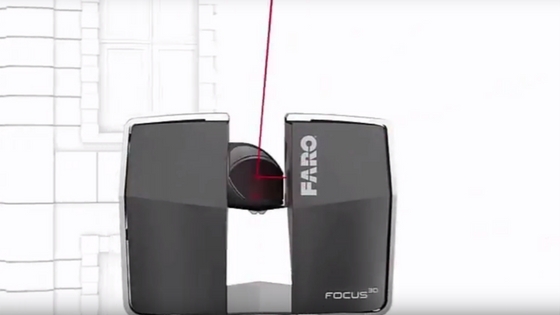 The scanner emits the laser light over its full field of view. When the laser light touches an object it then reflects back the light towards the scanner, sending the scanner x-y-z coordinates and information about every surrounding point allowing for a three-dimensional cloud of points to be gathered. This point cloud information can be saved and rendered in various design softwares, allowing for the creation of 2D CAD renderings, and the x-y-z coordinates allow for the creation of a 3D model. 3D scanners can improve the time of production operations, while reducing costs and redundancy of projects, allowing for less time needed for project timelines and meeting deadlines which results in a more efficient and cost-effective project for every stakeholder involved. There are a number of practical real-world applications for 3D Laser Scanning as it pertains to the AEC industry. 3D Laser Scanning services allow for improved Building Information Modeling (BIM) solutions, such as procuring As-Built information for better communication, eliminating the need for manual field measurements, and shortening of project lifecycles. The cost of scanning services has decreased to now be competitive with manual measurement methods, thanks largely to the advancements in hardware and software solutions. 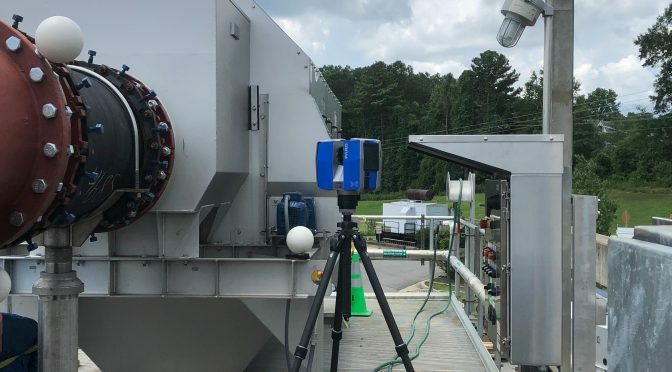 Cost along with the increasing number of analytical options available thru 3D Laser Scanning is making it an increasingly attractive option to conduct detailed surveying of building structures. Interested in 3D Laser Scanning Services? 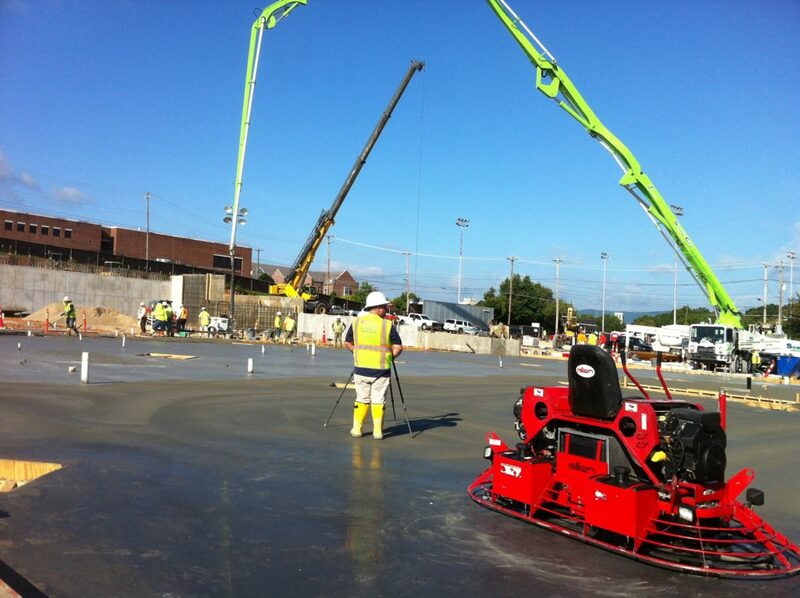 Click here to learn more about the 3D Laser Scanning services we offer. 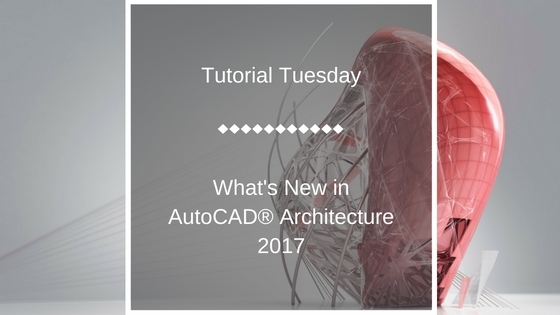 In this Tutorial Tuesday, we highlight the newest additions and updates to the 2017 version of AutoCAD® Architecture. This presentation is presented by our Lead AEC Applications Engineer, Dzan Ta. First, Dzan walks you through the new features and enhancements of the software with an in-depth presentation highlighting the most important features and how they will affect you – the end-user. Dzan then takes you on a step-by-by tutorial of how these new features look in the software, providing you with real world application of what to expect and how to apply it to your design projects. Repro Products is an Autodesk Authorized Training Center (ATC). We offer a number of courses for every design discipline for the AEC industry. Please see below to select a training course that best matches your needs. We also frequently offer free tutorials and how-to videos on our YouTube Channel. Click here to subscribe to the Repro Products’ YouTube Channel. New Revit Architecture Training Classes Added! It’s August, which means that summer is coming to an end. We all wish we had more days to enjoy the dog days of summer soaking up sun, laying out by the pool and drinking Arnold Palmers. But school’s almost in session and its time to register for your classes. We have just added new Revit Architecture classes for the month of August. This should satisfy your thirst for knowledge as you head back into the offices for the 4th quarter push. For those with a strong handle on Revit Architecture software, but looking to improve their understanding, Click below for information. Objective: This course is designed to allow students to continue utilizing Revit Architecture to increase their knowledge and productivity through additional collaborative tools, advanced development tools, and advanced construction documents tools. 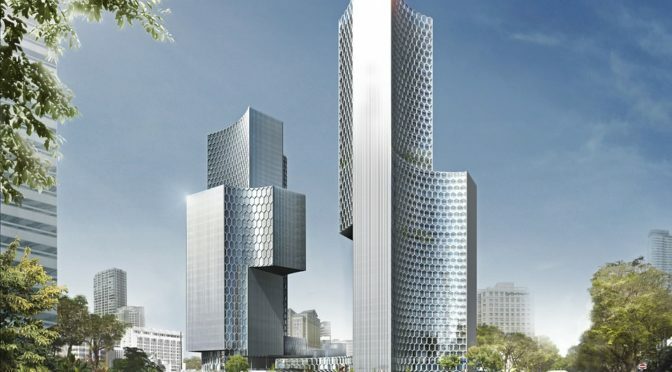 Objective: Broaden your knowledge of Revit in the areas of Conceptual Design and BIM Management by exploring exercises in mass studies, space planning, visualization, rendering and creating custom families. We also offer personalized training courses held at our training center or your local office per request by calling (770) 434-3050 or Email Us. 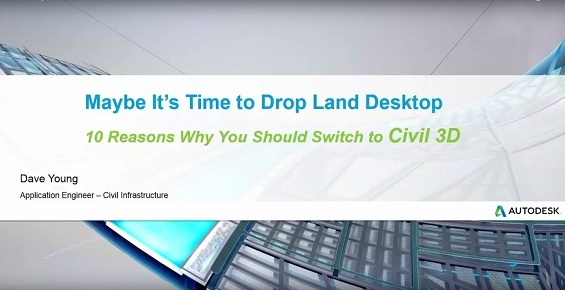 Are you still using Autodesk® Land Desktop? If you haven’t heard, the last version of the software – Land Desktop 2009 and Land Desktop Companion were phased out in Spring of 2009 and replaced with AutoCAD® Civil 3D®. Now that you have been equipped with ten of the best reasons (in no particular order) to make the switch over to Civil 3D, you are one step closer to optimizing your BIM workflows. 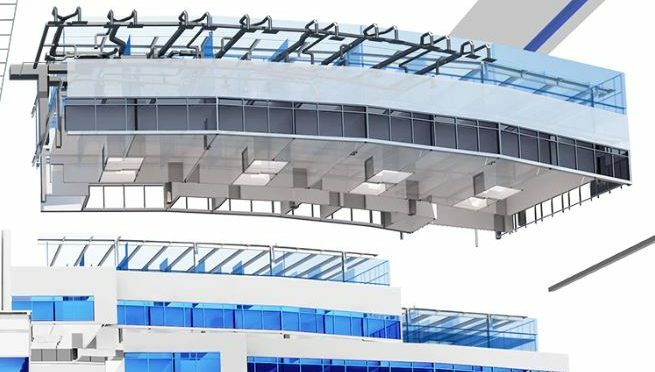 Learn more about Autodesk BIM solutions for infrastructure from the experts at Repro Products, Inc. If you are interested in earning continuing education credits, we have Training Opportunities available for Infrastructure Design and other disciplines, including Manufacturing, Building/Architecture, and General Design. Training classes can be taken at our corporate headquarters or at your local office. For more information on the training courses we offer along with a schedule or to schedule your next training class, visit our Autodesk Training Center. 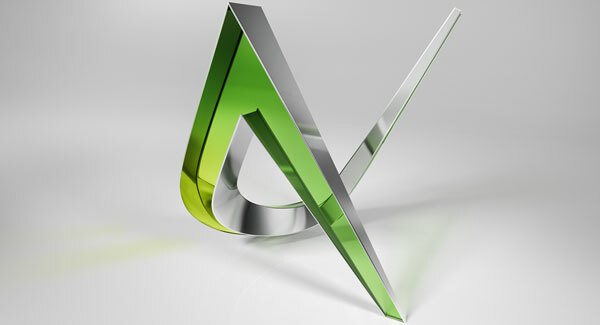 Don’t forget to sign up to catch Dave Young teaching in Las Vegas at Autodesk University this year when registration opens up on August 17th. This year, he will be teaching Georeferenced Point Clouds into Civil 3D Surfaces and assisting on A360 Infraworks Bridge Design with Revit and Structural Detailing along with our Lead AEC Applications Engineer, Dzan Ta. Make sure you plan accordingly to take advantage of the Early Bird Registration until October 10th. Make sure to follow us on our social channels and keep up with the latest news in Civil Infrastructure design and Autodesk® products and suites. HP, Inc. announced on July 12th, 2016 that it has been awarded two prestigious 2016 Red Dot Awards for their HP PageWide XL Printer and the HP DesignJet T830 Multifunction Printer. With the help of the jury of experts, the internationally organised competition “Red Dot Award: Product Design” appraises the best products of the year. Manufacturers and designers from all over the world submit originals of their latest products in the hope of being awarded the sought-after distinction “Red Dot”. 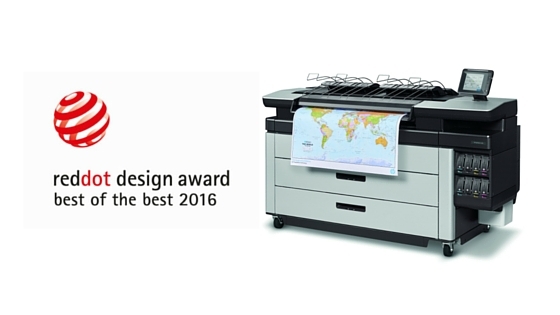 The HP DesignJet T830 Multifunction Printer was also awarded, receiving the Red Dot Award: Product Design 2016. Interested in learning more about how HP models can transform your business? RSVP for our HP Open House on July 27th, and automatically be entered for an Apple iPad when you attend. Learn everything you need to consider before purchasing your next Large Format solution. Included in this guide are tips and tricks to help ensure you consider all of the crucial factors on your checklist before selecting your next wide format solution. Autodesk’s premier annual event – Autodesk University – is four months away, and Repro Products is excited to announce that we have two speakers representing us this year at the world’s largest gathering of Autodesk software users. Our two speakers, Lead AEC Application Engineer, Dzan Ta and Application Engineer, Dave Young will be hosting two classes during the three-day conference in Las Vegas, from November 15-17, 2016. This year’s theme is “Insight. Innovation. Inspiration” as thousands of CAD professionals converge on Las Vegas to share ideas, tips and tricks with their peers to help improve design processes, foster innovative solutions, and inspire the future of making things. There will be over 650 sessions to attend at this year’s conference with a slew of great information and tips for the 2017 software releases, so make sure you plan accordingly to maximize your time and learning potential as registration will open in August. Interested in registering for a class led by one of our Autodesk Certified Trainers at #AU2016? See below for session information and registration details. As stated before, Autodesk University sessions will not be open for registration until August 17th, but in the meantime you have plenty of time to plan out your schedule with the new AU schedule. Early bird registration is only $1,750 available until October 9th, after that the price jumps up to $2,175 which gives you plenty of time to convince your boss to help you pick up the tab. Interested in attending one of our company events led by our Autodesk Certified Trainers? We hold a number of webinars and seminars for CAD users and AEC professionals to help empower your data management and design processes: Click here for a list of events. Want hands-on training at the Repro Products’ Authorized Training Center? We offer an extensive list of training courses on-site and are conveniently scheduled for you to maximize your time and gain the greatest return on your investment. Are you just as excited as us for #AU2016? Leave a comment and let us know what you are most excited about learning during #AU2016. Welcome to Tutorial Tuesday! This week we are presenting Autodesk Vault: Document Management for Everyone hosted by our Manufacturing Solutions Engineer, Dan Williams in conjunction with DLT Solutions. In this tutorial, Dan discusses Autodesk® Vault 2016 and all of the benefits it brings to allow you to effectively manage your data. View the 30-minute presentation and step-by-step walk-through to help empower your data management strategy. Enjoyed the tutorial? Never miss another by subscribing to the Repro Products’ YouTube Channel. We have a wealth of how-to, tutorial, and informative videos to help you complete your project on time. Leave a comment for us in the comment section and tell us what you think or what you would like to see from us in the future. And remember to follow us on Facebook, Twitter and Linkedin to stay up to date on news, product offers, and industry information. Welcome to today’s edition of Tutorial Tuesday. 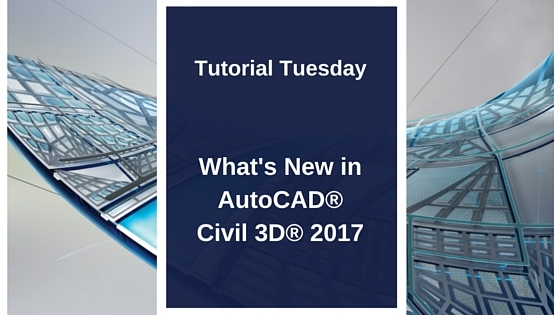 In this episode, our Applications Engineer, Dave Young gives us an in-depth look into the newest features and upgrades included in the latest offering of AutoCAD® Civil 3D®. This 42-minute video includes a presentation of all of the new features, and what they mean for you in real-life application. After the presentation, Dave gives you a guided tutorial of the offerings to show how they actually work in the program. Want to become more powerful in your design elements? Register now for this intuitive 2-day hands-on workshop that will help you gain greater flexibility in the presentation of your design elements. Want a copy of this presentation for you to access on your own time? Need more training? Repro Products is an Autodesk Authorized Training Center (ATC). Click here for a list of our Revit and other Building & Architectural training. 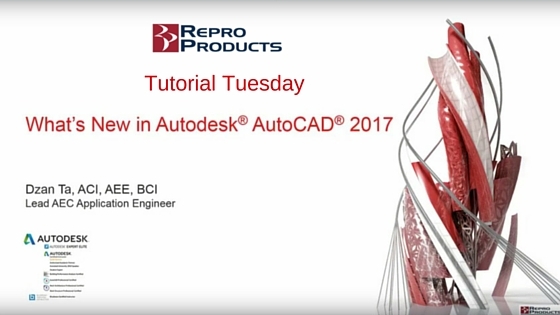 In today’s #TutorialTuesday, our very own Autodesk Expert Elite trainer and Lead AEC Application Engineer, Dza Ta showcases some of the new features of AutoCAD 2017. For more informative, how-to videos and tutorials from our Autodesk Elite training professionals, visit us on YouTube. 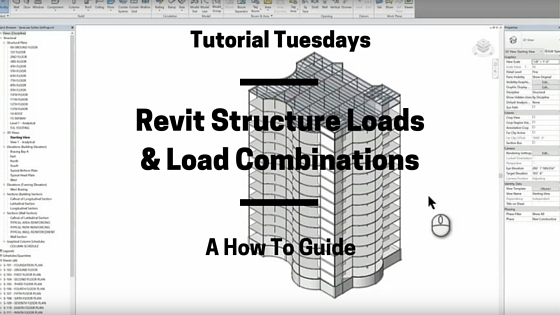 In today’s #TutorialTuesday, our very own Autodesk Expert Elite trainer and Lead AEC Application EnEngineer, Dza Ta gives us a “How To” tutorial of how to set up structure loads and load combinations in Autodesk Revit. 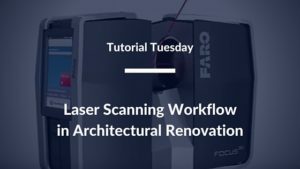 In today’s Tutorial Tuesday, our Application Engineer, Zoltan Ferenczy walks us through utilizing FARO Focus3D X 330 HDR laser scanning technology in an Architectural Renovation. See the video tutorial below and tell us what you think. Repro Products’ 3D laser scanning services enable clients to add, modify, validate and document their design process in context from existing environments. Click here to learn more about our Laser Scanning Services. Bluebeam Revu 2016 was launched on February 23rd and comes with a slew of new features that will help transform the way the AEC Industry works. New features like the Batch Markup Summary, Tag and Drawing Logs, Revit Plugin Enhancements are just a few of the new features that makes Bluebeam Revu 2016 a more intuitive PDF creation and markup tool for today’s AEC professional. We have compiled a list of our top 2 ways you can improve your workflows with Bluebeam Revu 2016. In this list, we highlight how Blubeam Revu 2016’s new features and enhancements work with other complimentary products from HP and Autodesk to ensure that your project meets its deadline within budget. Revit Plugins have seen a major improvement in the 2016 version of Revu. With one simple click, you can generate smarter PDFs from Revit. Now you can export Revit Rooms to Spaces automatically, which creates a more intelligent 2D PDF allowing you to track the location of all your markups and makes area measure even easier to calculate. The plugin uses the current Room naming convention from Revit and applied them to the Space labels in Revu. With the improvements to 3D PDF creation, Linked Models handling, color and material properties transferal and more. The new Revit plugin enhancements allows you to improve your workflow by seamlessly integrating all of your room information right into the PDF for improved collaboration with your project teams in real time, anytime. 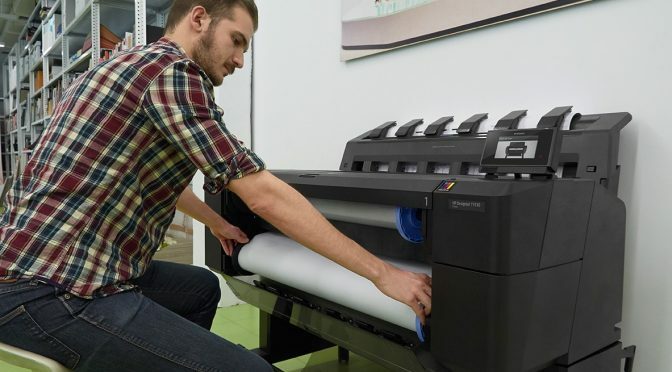 Late last year, HP released the HP DesignJet T830 Multifunction Printer reinventing how the AEC industry prints, scans and copies documents by designing a rugged new printer engineered to withstand touch environments. 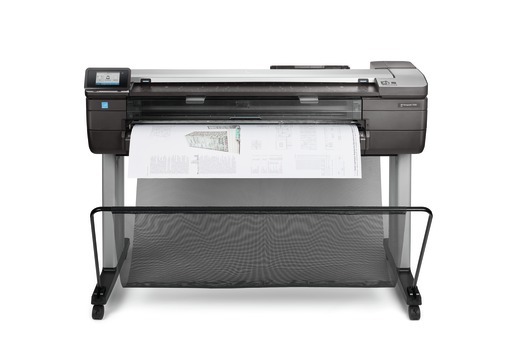 The DesignJet T830 Multifunction Printer is the industry’s most affordable, compact and transportable integrated large-format Multifunction Printer. Combined with the leading developer of markup and collaboration solutions for the industry there is a tremendous amount of flexibility. Bluebeam Revu is compatible with all Windows tablets and is also offers Revu for iPad, allowing you to view, markup, edit and collaborate on-site. The HP DesignJet T830 allows you to print right from your tablet, so you can share feedback and deliver building and schedule changes on time. Need a consultation on the many solutions and to help improve your AEC workflows? Contact a Repro Products representative today to find out what solutions best fit your needs for an improved workflow and increased productivity. In this installment of Tutorial Tuesday, Dzan Ta gives a detailed demonstration on how to use A360 Collaboration for Revit to empower your project team no matter where they’re located. 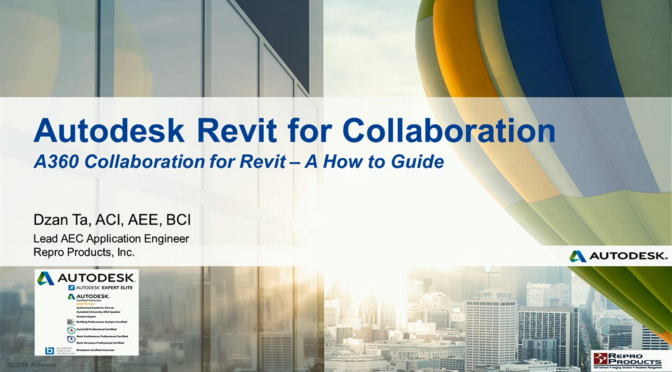 Autodesk® A360 Collaboration for Revit® is a subscription service that works with Revit® software to connect project teams with centralized access to BIM project data in the cloud . Stay connected in real-time using the Communicator chat tool within models enabling the entire project team to work on shared building information models. Lead AEC Application Engineer, Repro Products, Inc.
Want to find out more about A360 Collaboration for Revit, including how other companies have integrated it into their workflows? In today’s Tutorial Tuesday, our very own Dzan Ta provides us with a step-by-step tutorial of how to use Autodesk Revit, Dynamo, and Microsoft Excel to create a digital project dashboard. 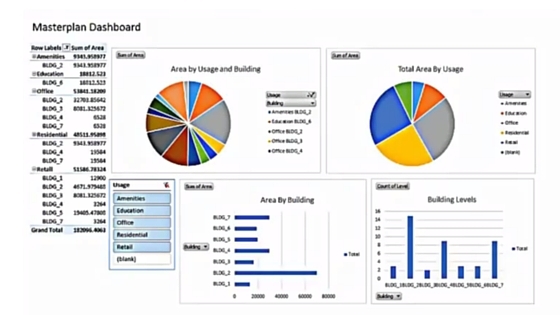 In this tutorial, our Lead AEC Applications Engineer, Dzan goes over how to create and use digital dashboards, and empowers you with the expertise to create your own to utilize within your workflows. Original content was created by CAD Blog website and ArchSmarter. I created this video as a learning exercise for myself and to share their knowledge. Credit to be given to original authors. Are you in need of training for yourself and/or employees? Repro Products is an Autodesk Authorized Training Center (ATC). Check out our training calendar for a comprehensive schedule of our training classes that we offer both on-location and online. 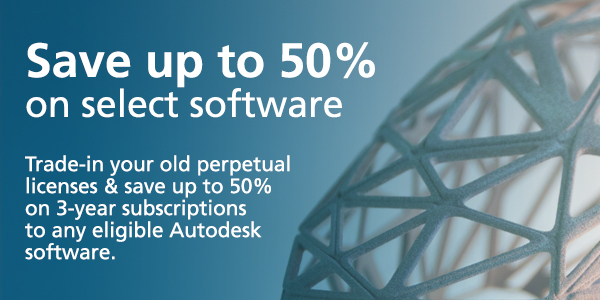 Get the benefits of increased productivity, predictable budgeting, and simplified license management with Autodesk® Subscription. You get new upgrades and any incremental product enhancements of your Autodesk software, plus you get exclusive license terms available only to subscription members. 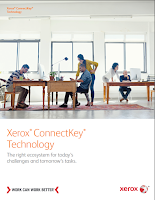 Xerox ConnectKey technology revolutionizes your workflow capabilities with apps to ensure you get the job done. The way the world works has changed. Technological advances, such as: mobile-based applications, ‘the cloud’ and email have created a shift in demand for technology to improve workflows while limiting the need for paper. However, paper has not yet died, in fact, an estimated 40 percent of business processes still require paper. So this begs the question: How will we improve our workflows? Well, your multi-function printer (MFP) is one way to bridge the gap between processes that involve a mix of print and digital documents. By investing in the right solutions that will streamline your business processes, you can limit the amount of time your workforce spends on menial tasks and thus increase the productivity of your team and your bottom-line. To help tackle the task of improving workflows, Xerox announces the 2016 ConnectKey Technology enabled i-Series MFPs. 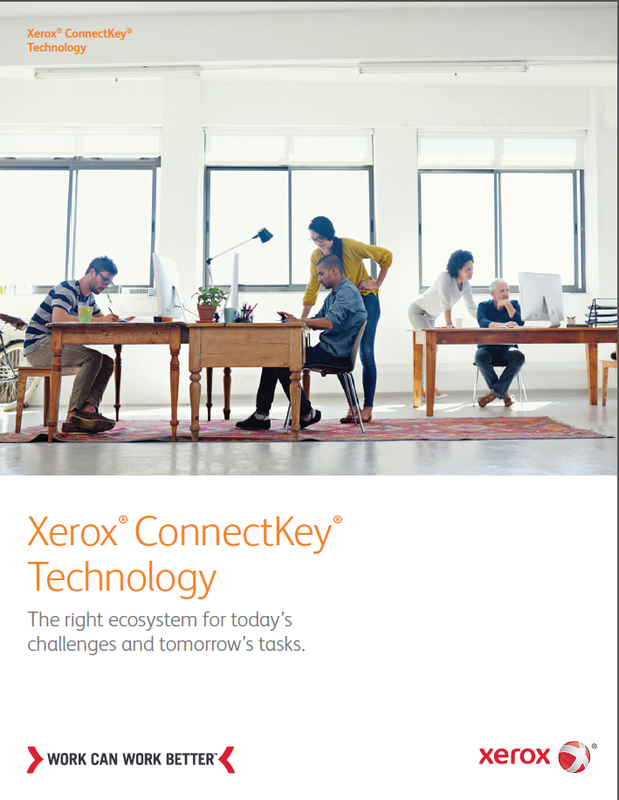 The ConnectKey Technology ecosystem is a combination of hardware and a common set of software solutions and apps, developed by Xerox and its partners, to help simplify and improve the way our customers work. The 2016 Xerox ConnectKey Technology enabled i-Series MFPs come loaded with a new service, the Xerox App Gallery. From this revolutionary portal, you can access additional apps for personal customization. Imagine setting up print and scan workflows that are connected directly to cloud hosting services such as Dropbox, Google Drive, Office 365, Microsoft OneDrive and Box, allowing you to print or scan documents that you’ve saved without having to connect to your computer. This is just one way that ConnectKey Technology increases your productivity. Have you ever run into the occasional situation where documentation was in another language? Well, with the new Xerox Easy Translator Service you can translate any document easily from your ConnectKey MFP. 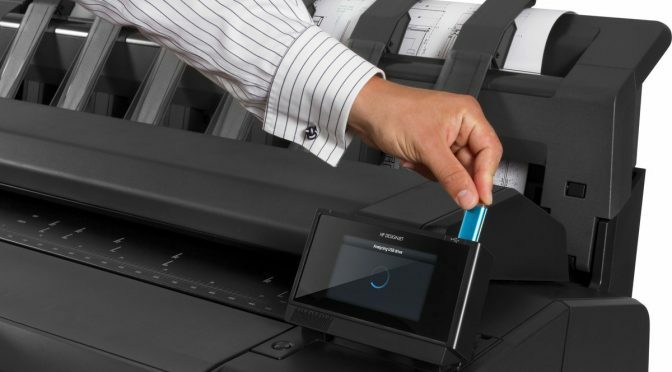 Simply scan the document in the original language and select your output language, and the ConnectKey MFP will print the translated document at the device using machine translation. Even better, you can use this service with a picture from your smartphone or drag and drop from any document repository in our online portal at https://xeroxtranslates.com/. 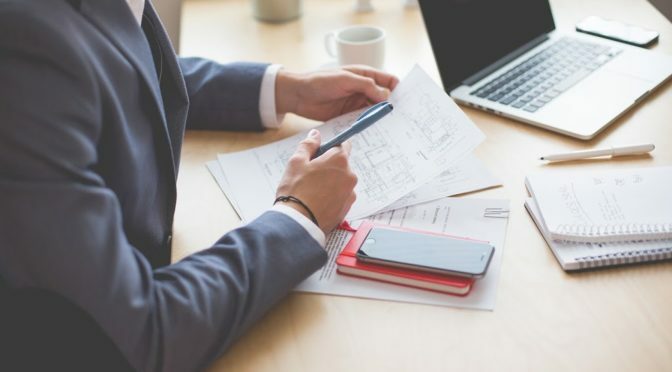 Increase your productivity by extending your mobile capabilities with Xerox ConnectKey Technology. Regain wasted time and effort throughout your office with simpler processes and centralized print management. Add extra productivity with anything-to-anywhere mobile printing. And secure both your printers and printed documents. Whether it’s from your laptop, your smartphone or your tablet, you can print to an MFP by sending your document via email to an @PrintByXerox email address. 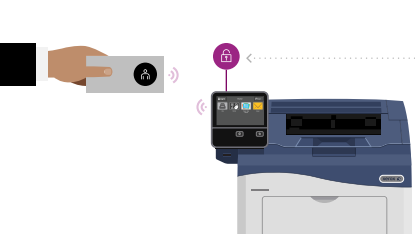 When you are using a Xerox app to print or scan from a device, connecting to the specific MFP you’d like to print to is now easier. 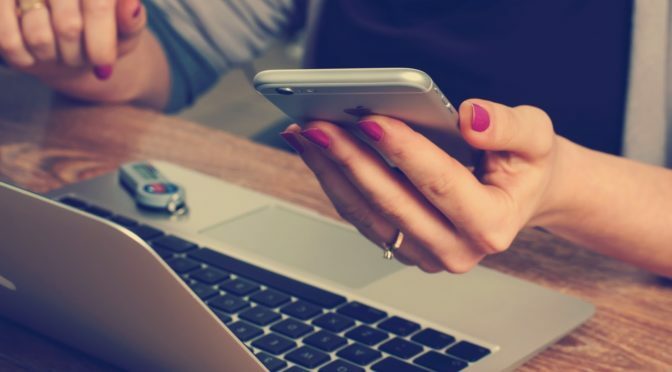 Once the app is loaded on your smartphone or tablet, you can walk up to the ConnectKey enabled MFP and the device pairs with a simple scan of a QR code. This makes scanning, printing and sharing your documents to a multitude of repositories seamless. 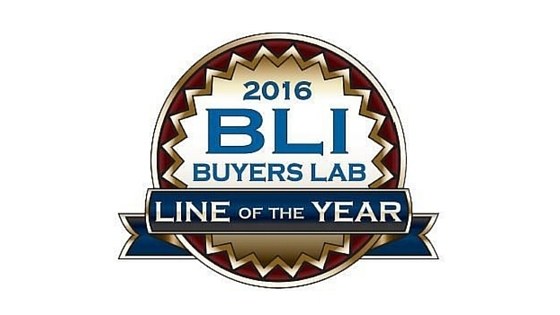 Buyers Laboratory LLC (BLI) announced Xerox Corporation as the winner of the “Document Imaging Software Line of the Year” award for 2016. Three years in a row and counting Xerox Corporation has been crowned winner of the Document Imaging Software Line of the Year Award. 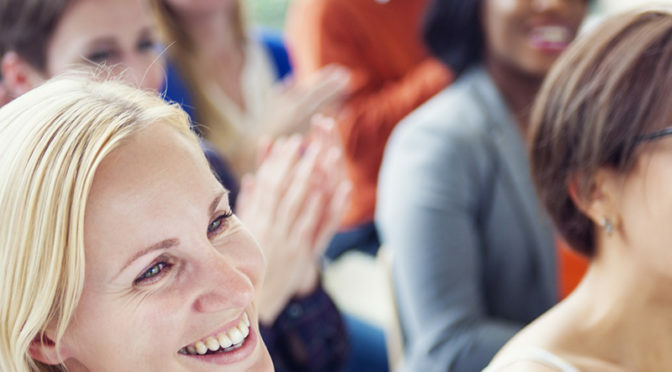 Xerox three consecutive wins can be attributed to its exceptional portfolio of document imaging capabilities, including Xerox App Studio, Xerox DocuShare, Xerox Mobile Print Cloud and Mobile Print Solution, and Xerox FreeFlow Core. For over 50 years, Buyers Laboratory LLC (BLI) is the world’s leading independent provider of analytical information and services to the digital imaging and document management industry. consumables. In addition to publishing the industry’s most comprehensive and accurate test reports on office document imaging devices, each representing months of exhaustive hands-on testing in BLI’s US and UK laboratories, BLI has been the leading source for specifications/pricing databases on MFPs, printers, scanners and wide format devices. With its “Pick” awards, BLI gives special recognition in each category twice a year to those products that provided the most outstanding performances in BLI’s exhaustive lab tests. Its “Outstanding Achievement” awards acknowledge products or capabilities that stand out for attributes such as innovation, usefulness, energy efficiency or value. “Line of the Year” awards, presented once each year, recognize the vendors whose product lines are judged to be the best in their respective categories based on their cumulative test results. HP, Inc. announced that it is the proud winner of the iF Gold Award for “Best of the Best” in product design. The HP PageWide XL 8000 was one of just 75 Gold Award winners selected by an expert panel of 58 international judges out of a record-high field of 5,300 submissions this year. The iF Gold award typically receives 5,000 submissions annually, making this year more difficult than ever. 2016 marks the second consecutive year that HP, Inc. has won a prestigious iF Award for their wide format printing technology. 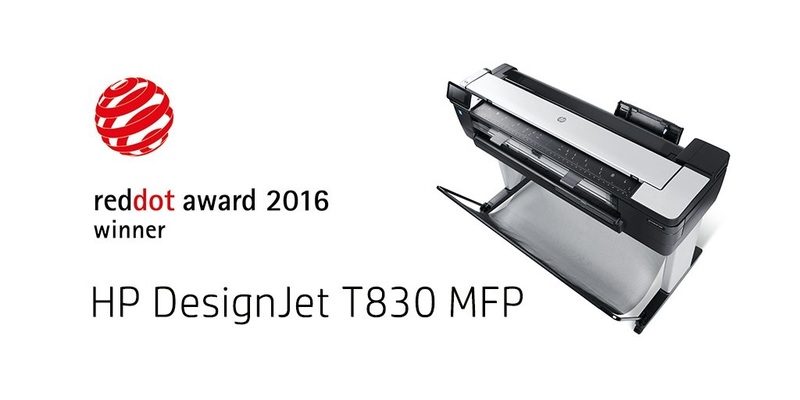 In 2015, the HP Designjet T3500 won an iF Award for outstanding product design for marrying industrial design with product functionality in the first year a wide format HP printer was entered in the iF Design Awards. The HP PageWide XL printer portfolio delivers the fastest large-format monochrome and color printing at breakthrough speeds (up to 30 D/A1-size prints per minute), and 60% faster than the fastest LED printer. 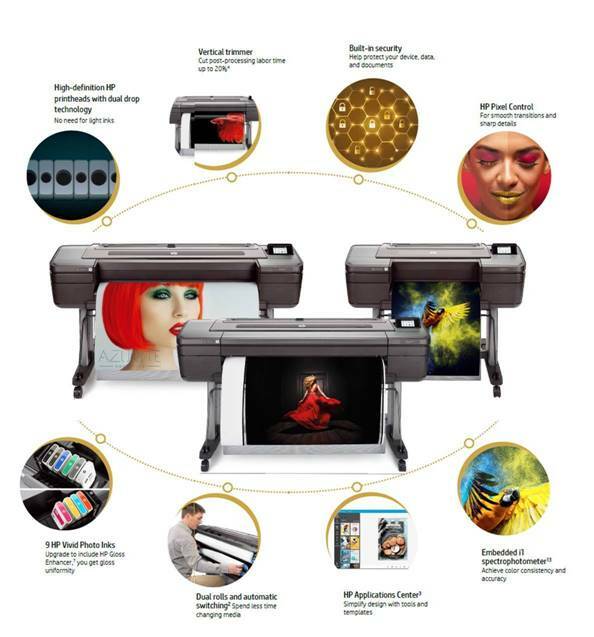 These features come standard in the HP PageWide XL 4000 and HP PageWide 5000 printers. On February 8th, Autodesk announced significant changes to its preliminary civil engineering design software – Autodesk® Infraworks® 360. Autodesk decided to repackage its Infraworks® 360 core product, integrating all of the vertical modules and while maintaining price. Until now, in order to access the road, drainage, and bridge design modules of the software they had to be purchased separately. Not only does this repackaging offer you access to all of the modules in the core product, but you get all of this value with no increase in price. These changes were brought about as Autodesk seeks to simplify the offering and enable customers to accelerate their move to BIM and continue to improve their project workflows. 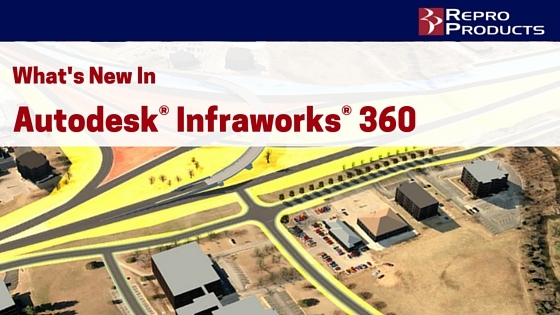 Infraworks ® 360 is Autodesk’s BIM-based infrastructure design tool specifically created for civil engineers. Infraworks ® 360 is designed to aggregate real-world data, including 2D CAD, 3D model, GIS and raster data and LiDar and Photogrammetry capture. By bringing all this data together, the software creates a 3D model for users to design within the context of reality. Infraworks ® 360 has been a product favorite of Repro Products. However, as sometimes happens when new technology is brought to the market, the offering still did not quite fit with our client’s needs vs. price. Now with the repackaged core product, customers can access all of the advanced features included in the vertical applications models.Save time and money using the data you have access to instead of purchasing or creating what you need. If you are interested in pricing or learning more about the updated offering of Infraworks® 360, contact Repro Products. Register for our free webinar to learn how to Speed the Civil Infrastructure Design process utilizing the data you already have access to. Stay updated on the Civil engineering updates from Autodesk by subscribing to the Repro Products blog. And follow us on Twitter, Facebook & LinkedIn for real-time updates and industry news. 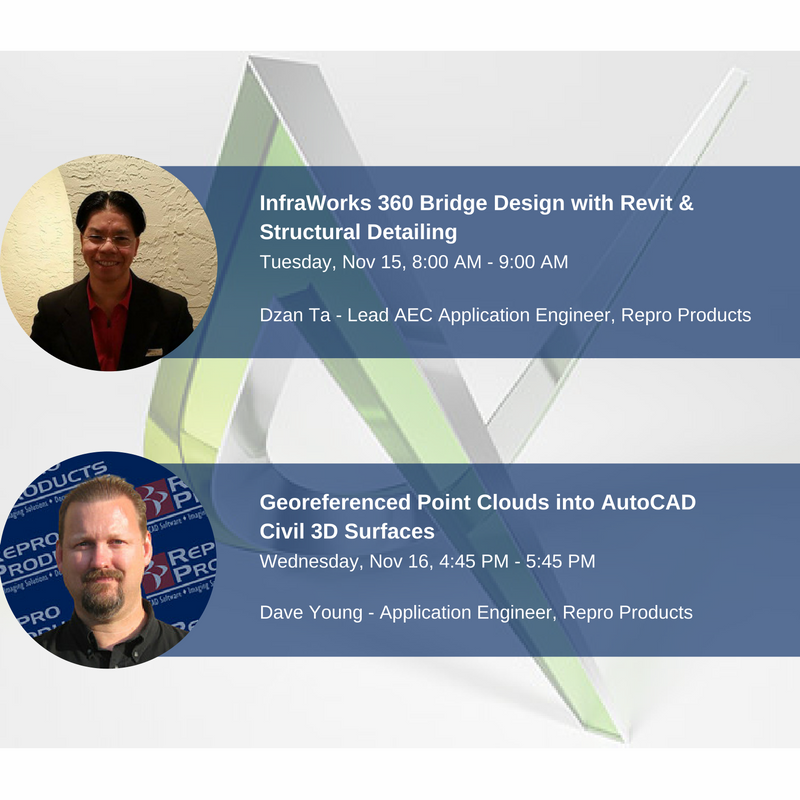 Presented by Dzan Ta, Repro Products, Inc.
Dzan Ta is an Autodesk Certified Instructor and holds many certifications in multiple Autodesk products for the AEC industry. 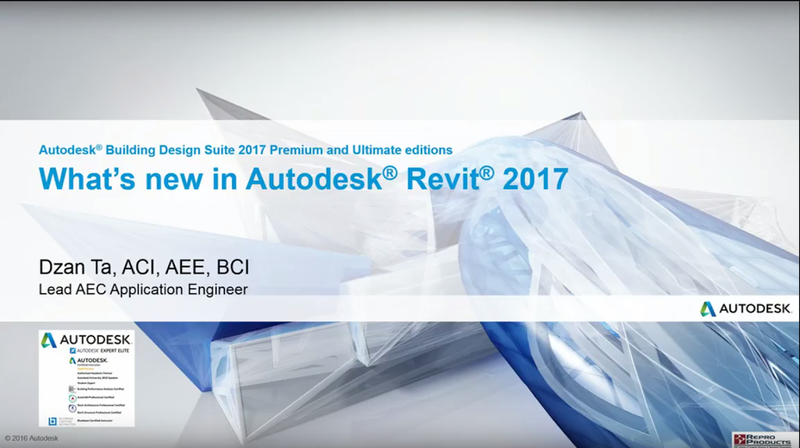 For more videos, content and more from Repro Products, Inc.
Watch our How To Guide Video on Audodesk’s Revit Structural Settings Command. For more videos, content and more from Repro Products,Inc. Repro Products is excited to announce that we will be exhibiting at the Underground Construction Technology International Conference & Exhibition in Atlanta on February 3rd – 4th. 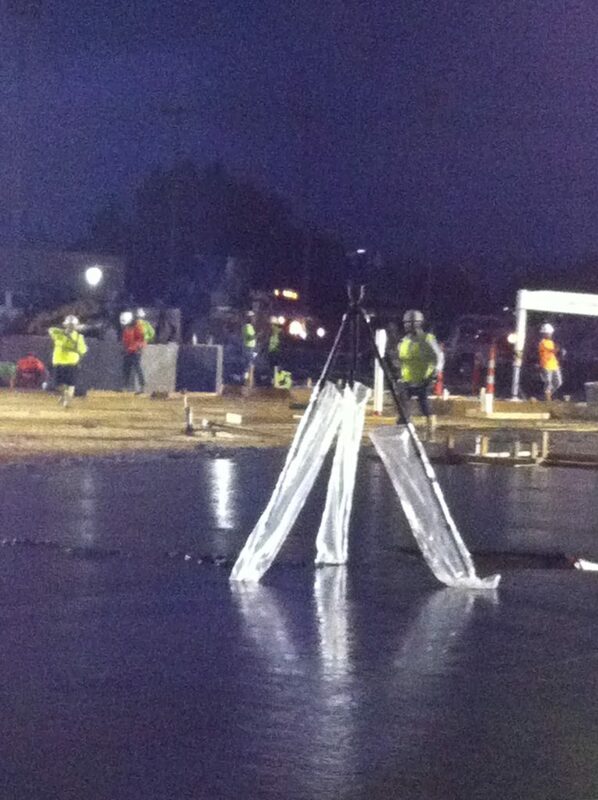 UCT is the premier event in the United States focusing on the total underground pipeline infrastructure. For over 21 years, UCT has been the meeting place for business professionals involved in maintaining the underground utility pipe infrastructure. Individuals representing water, sewer, gas, telecom and electric rely on UCT to learn about the latest techniques used in trenchless, open cut, new construction and pipe rehabilitation. Repro Products is proud to say that we have served this vibrant and innovative community since 1979 and we are eager to network with industry experts and discuss the implications of large format printing on the construction community. Register: UCT is fast approaching, but it is not too late to attend this premier industry trade show. Register Here to make sure you don’t miss out! Plan: Visit the Who’s Attending page to see who is attending and make a plan to visit booths, visit exhibits and take an opportunity to rub elbows with some industry movers and shakers. Practice: Practice your elevator pitch and have plenty of business cards on hand. With so many heavy-hitters in one room, you don’t want to miss out on any opportunities to build your business and your network. Learn: Featuring 90 Information-Packed Sessions, UCT is a great opportunity to collect continuing education units. This dynamic educational program will help you understand the new technologies and products displayed in the exhibit hall and stay on top of the latest safety, regulatory and operational issues that are impacting the way you do business. UCT’s primary program (Feb. 3-4) qualifies for Continuing Education Units (CEUs) and Professional Development Hours (PDHs) granted by the University of Texas at Arlington. Earn: Make sure to visit Repro Products in booth #904 to learn more about all of the exciting new products and offerings that have come from the Wide Format Printing industry. We will also be offering special show pricing on the HP T3500. We look forward to seeing you at the Georgia World Congress Center on February 3rd & 4th! If you would like to visit the exhibit hall at no charge, click here for instructions on how you can see what’s new in the industry for FREE.